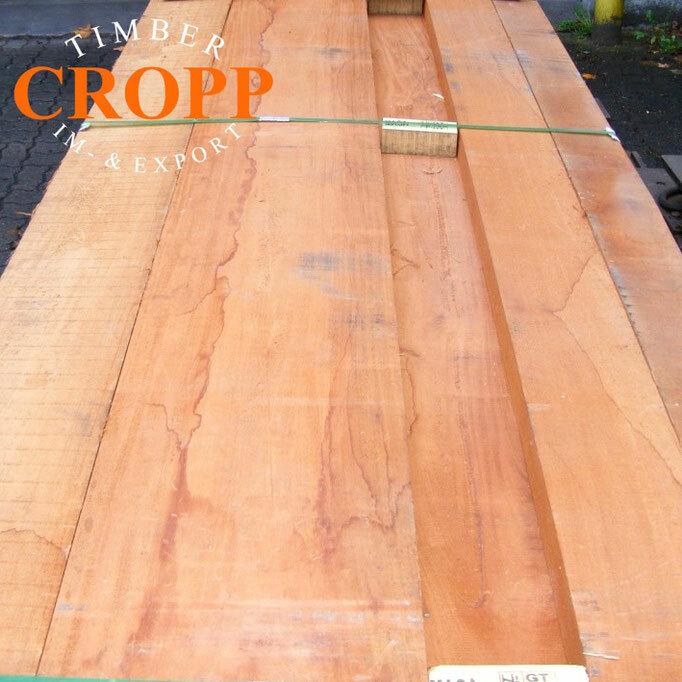 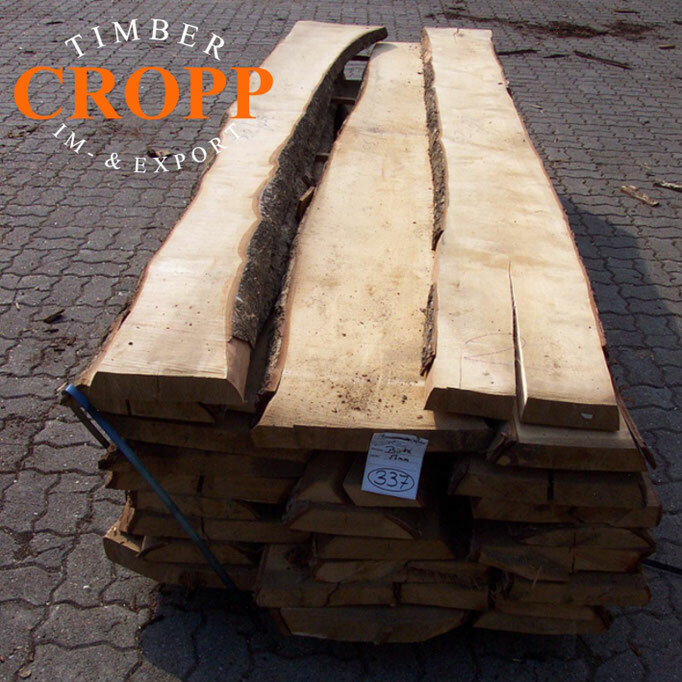 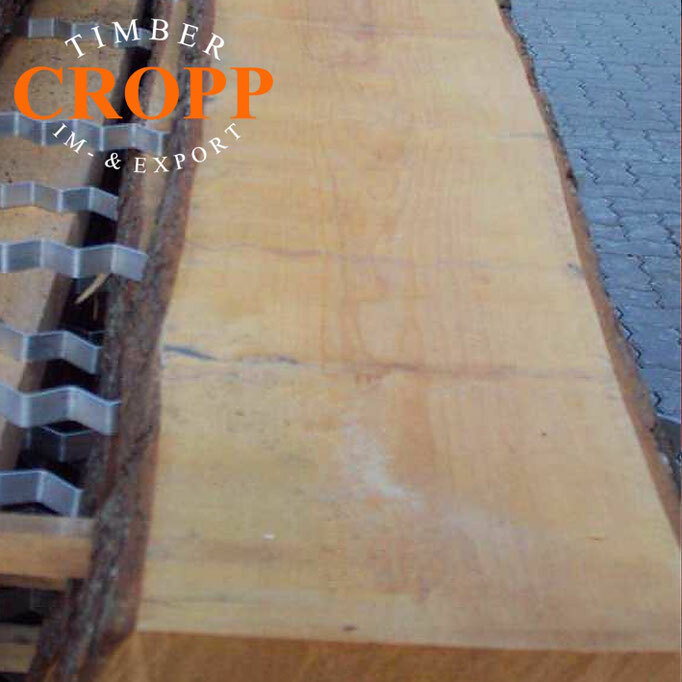 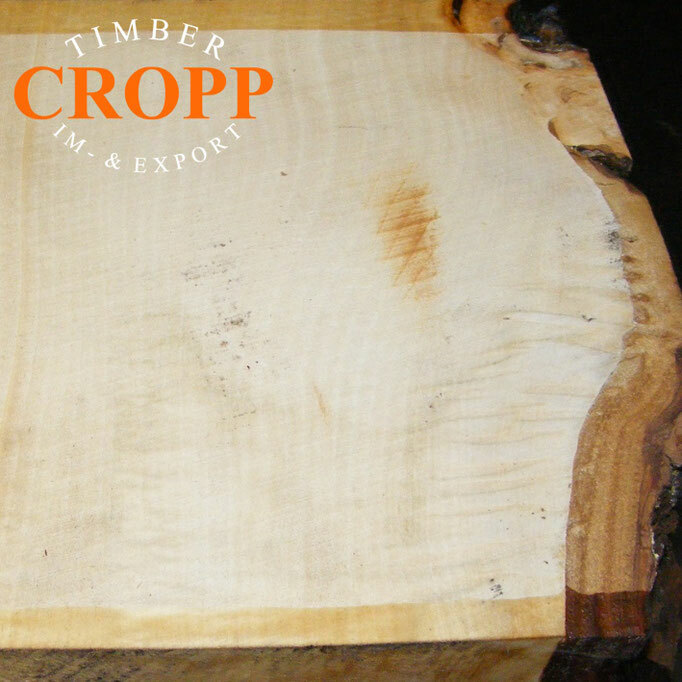 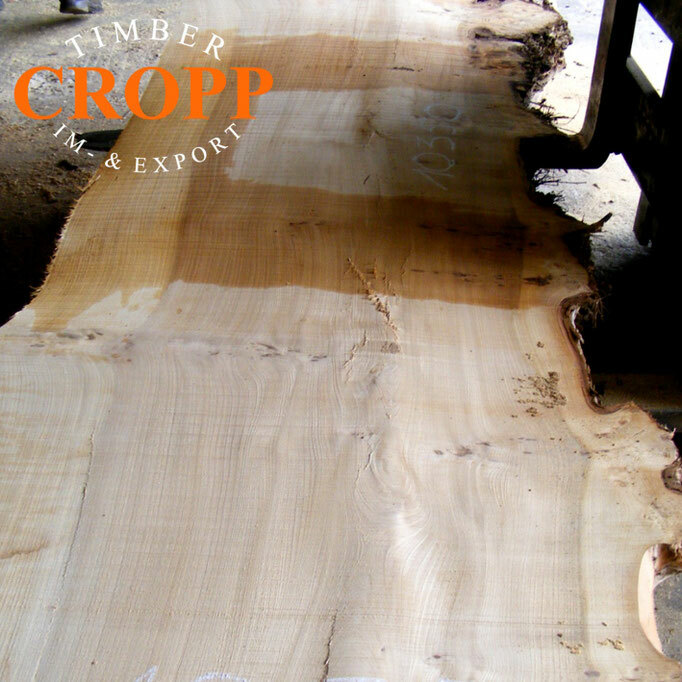 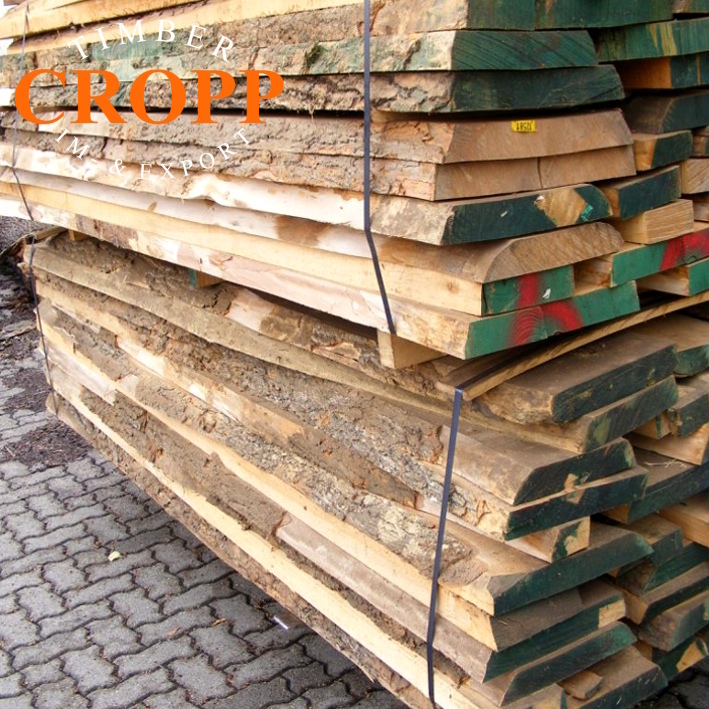 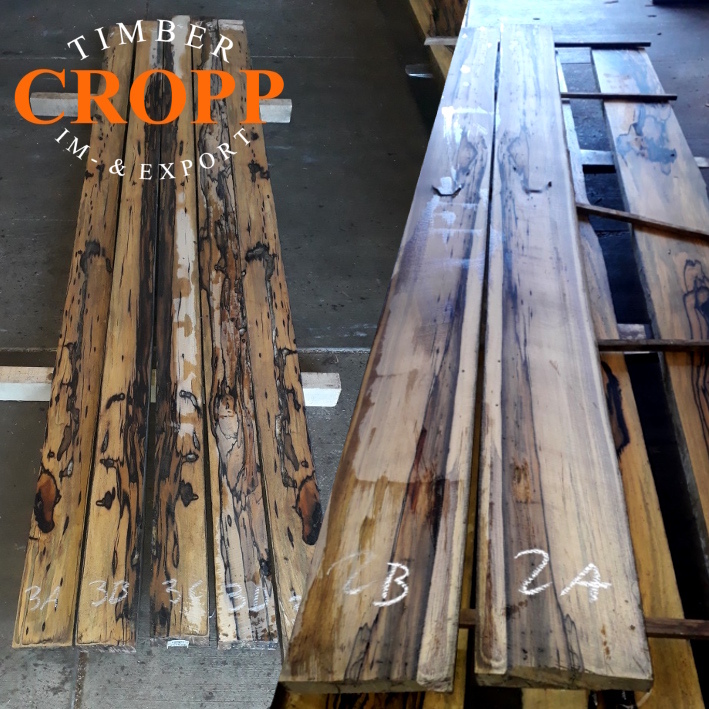 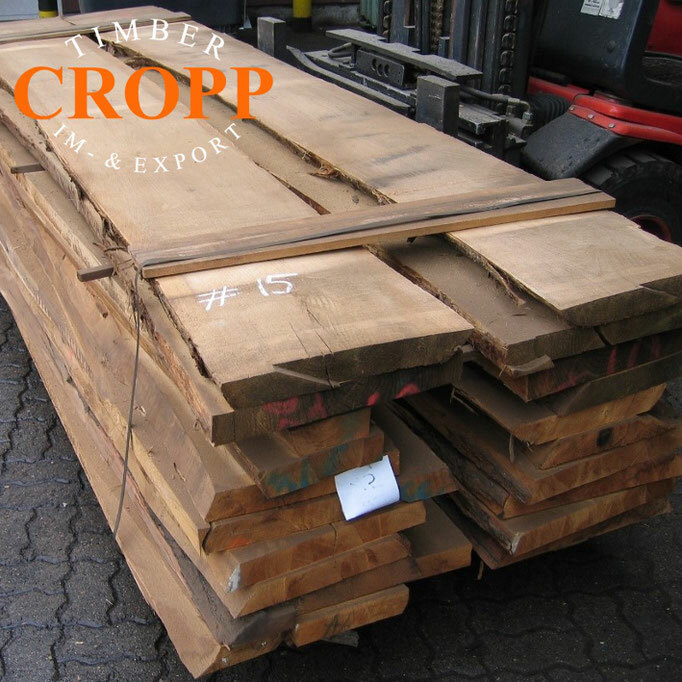 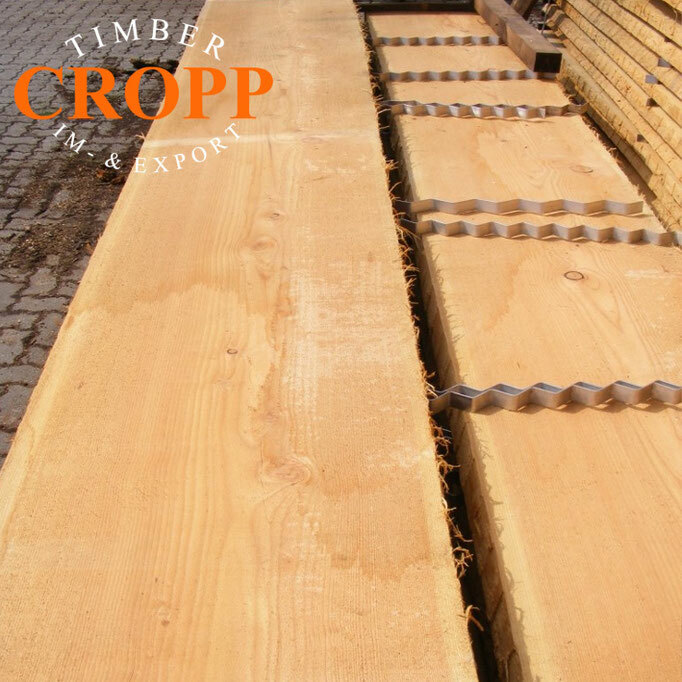 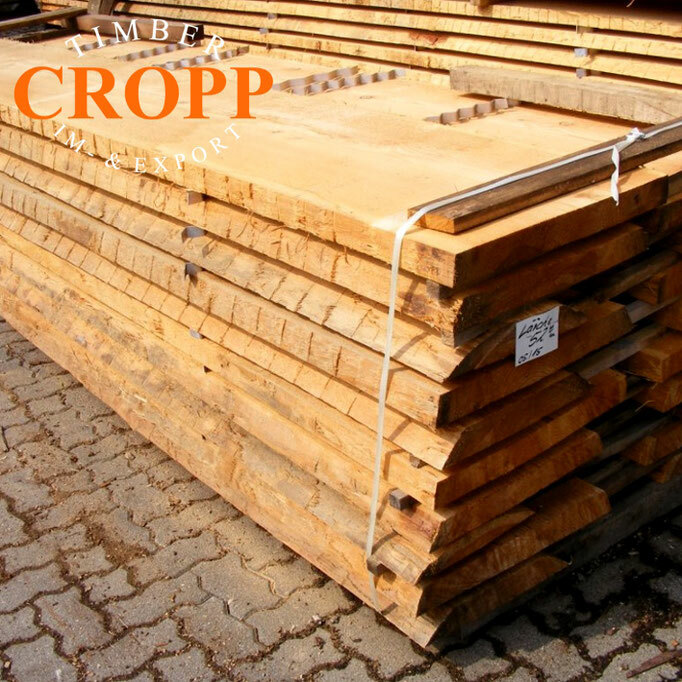 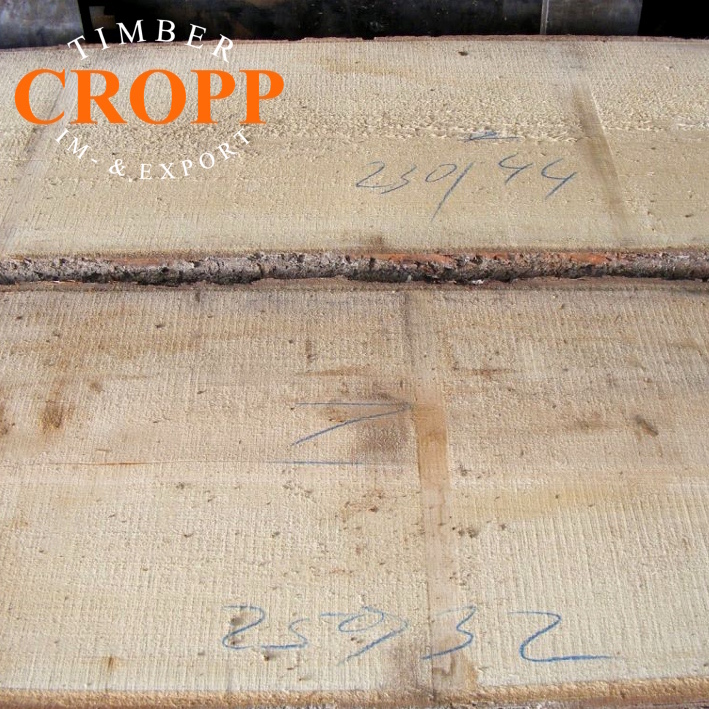 Our strength: Exotic and rare timber - Edelholz Großhandel Hamburg Max Cropp e.K. 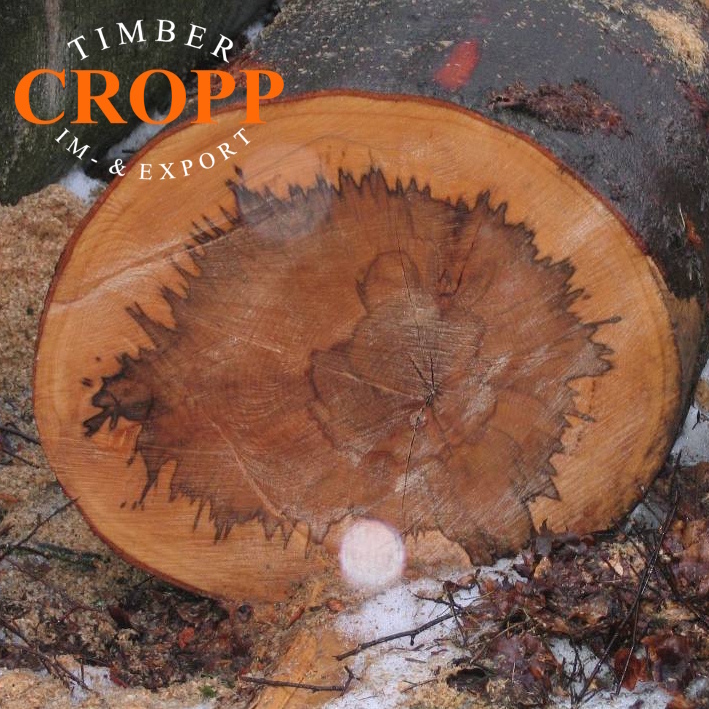 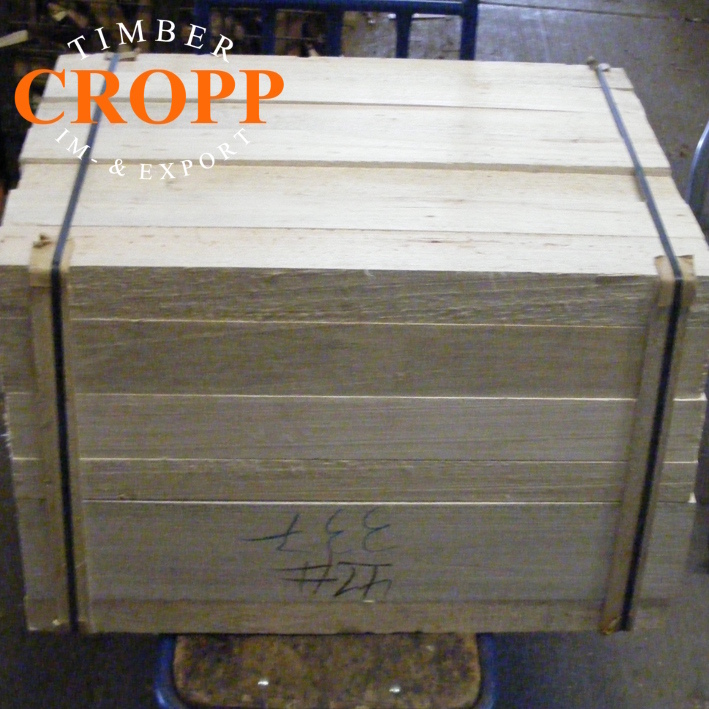 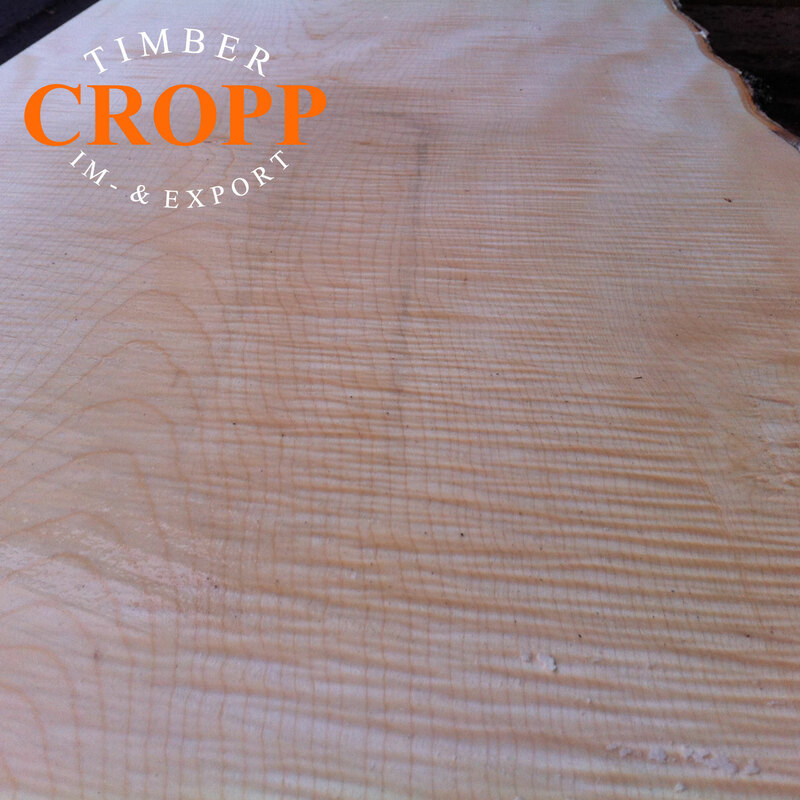 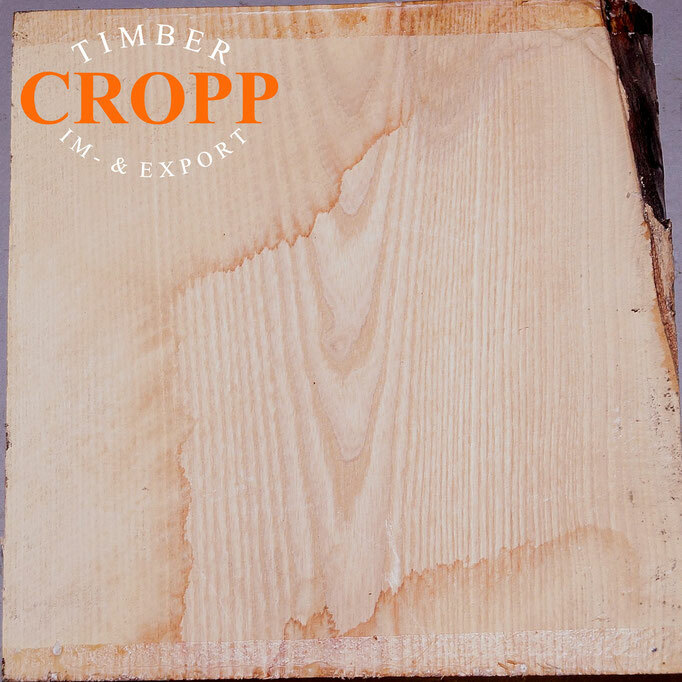 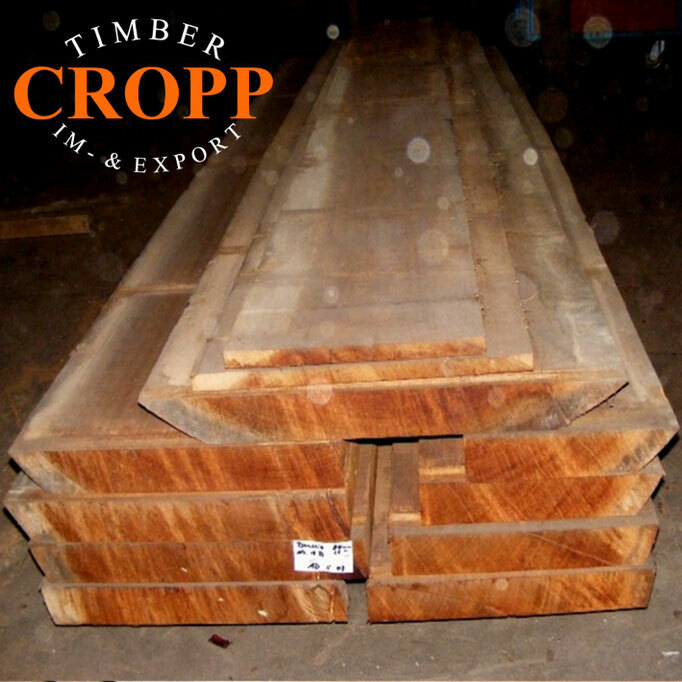 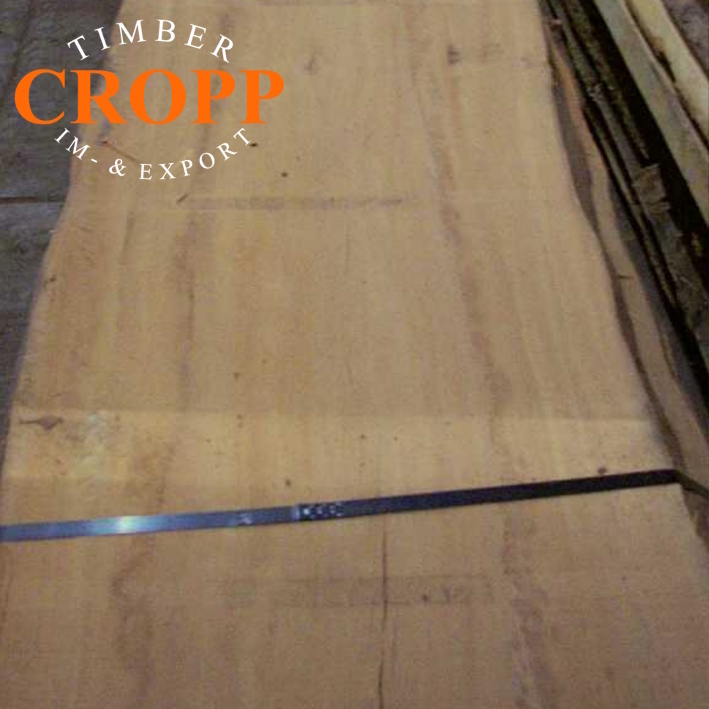 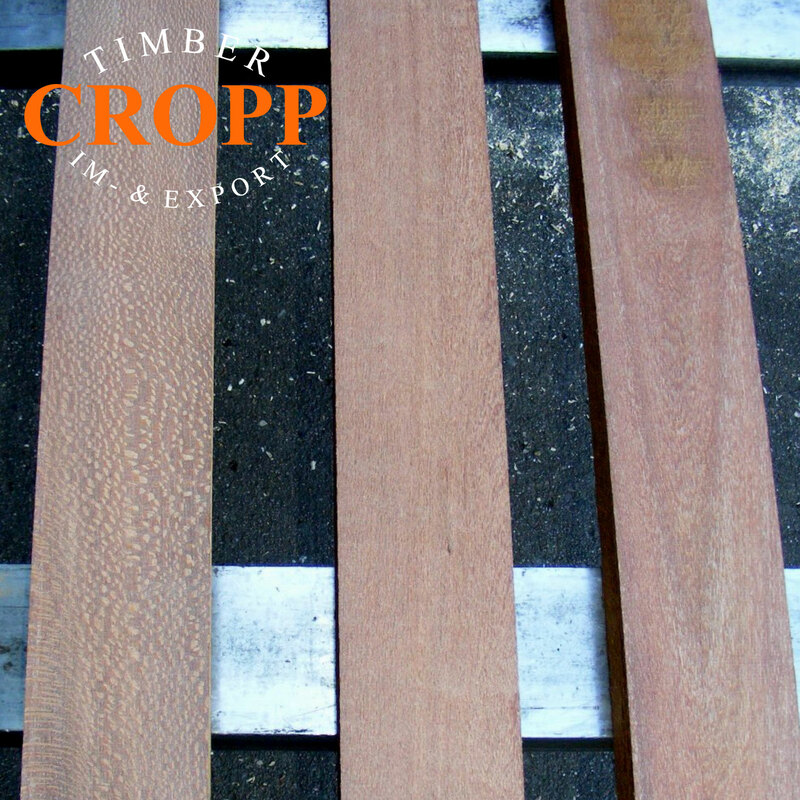 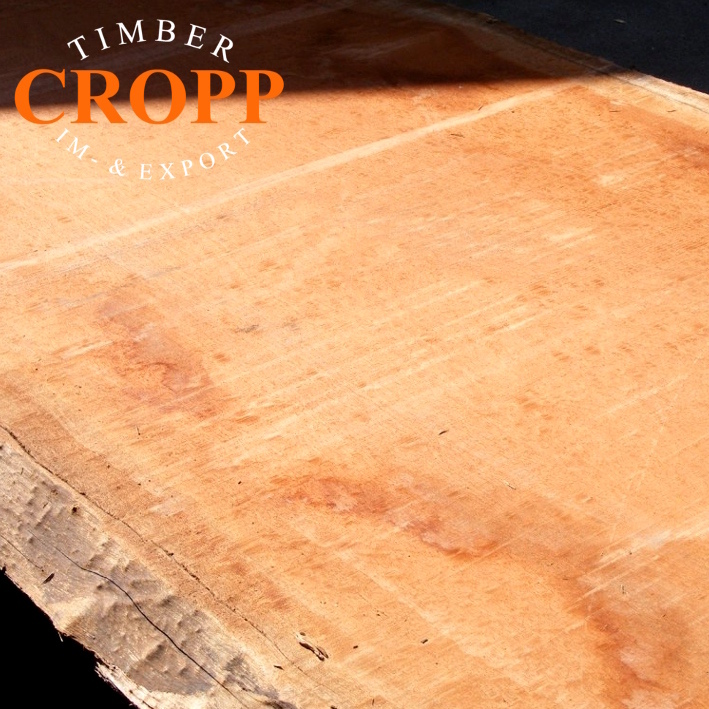 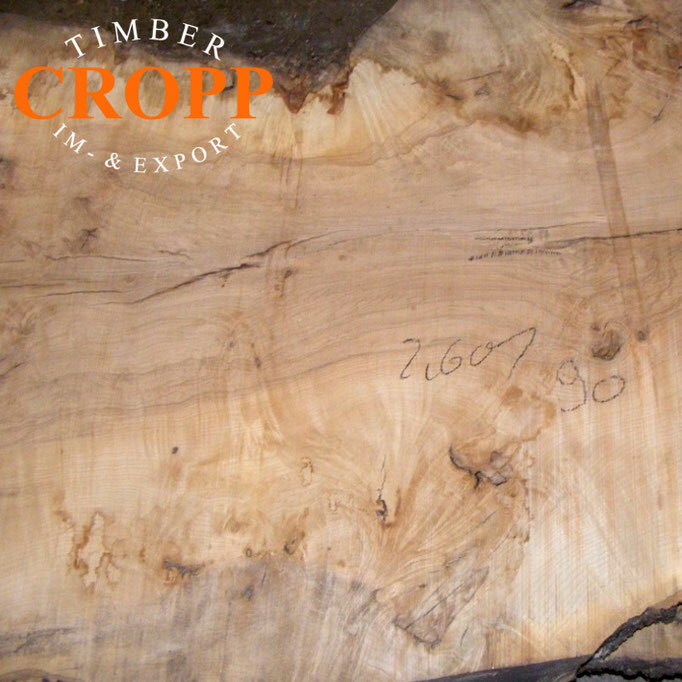 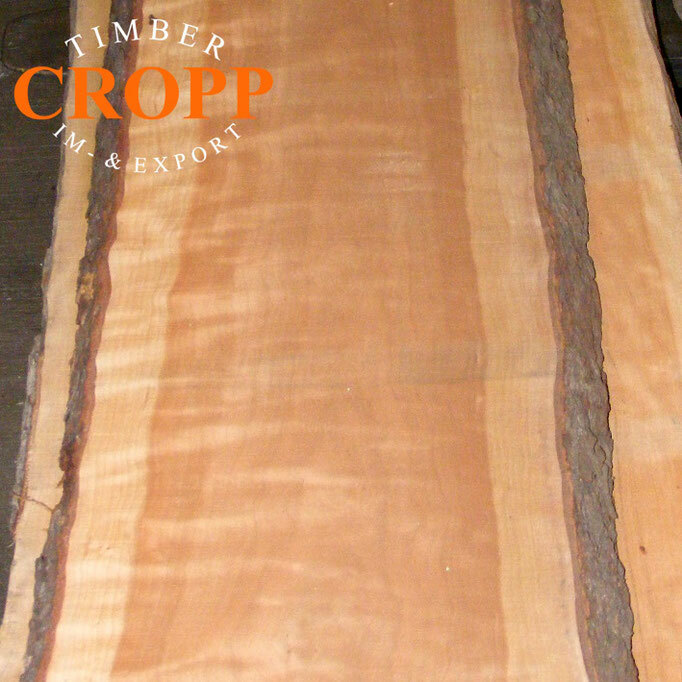 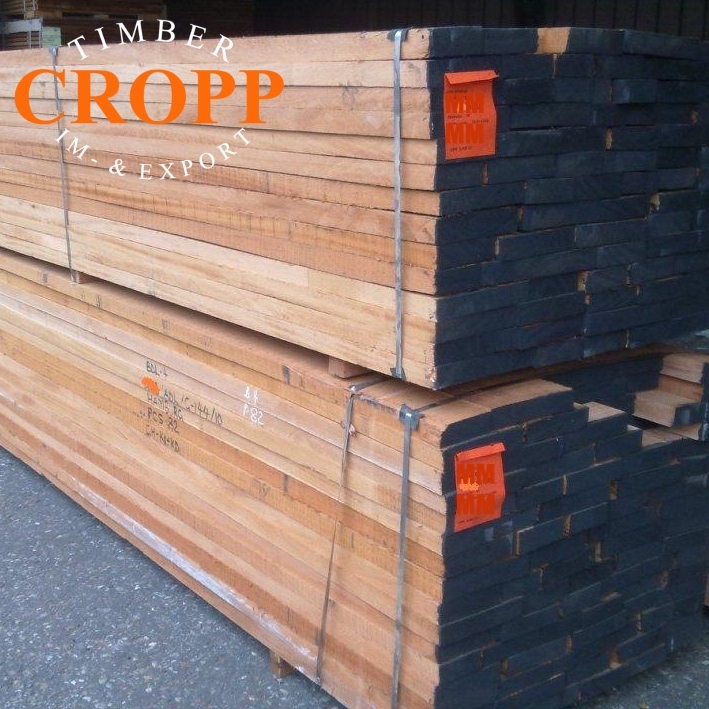 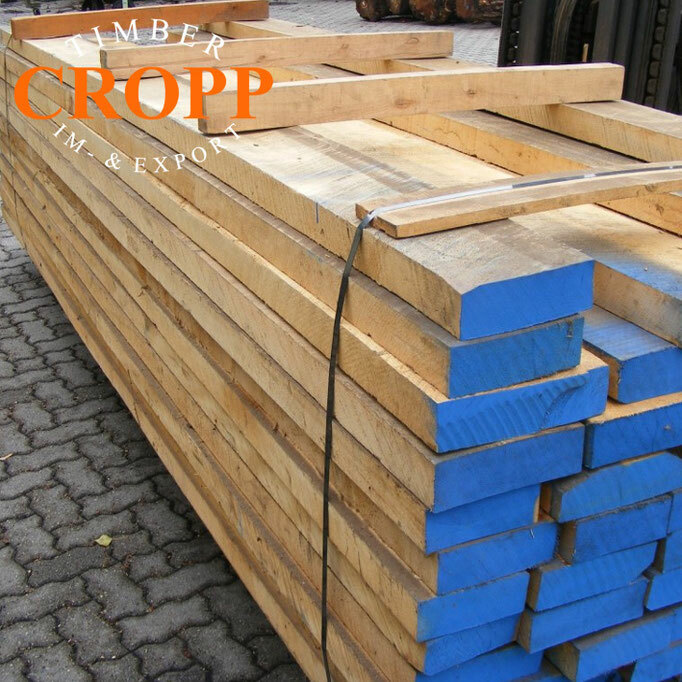 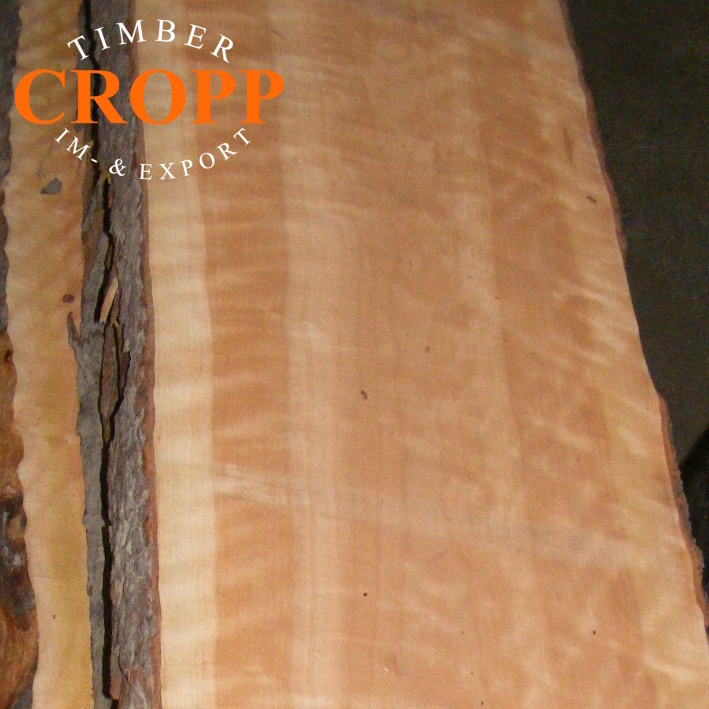 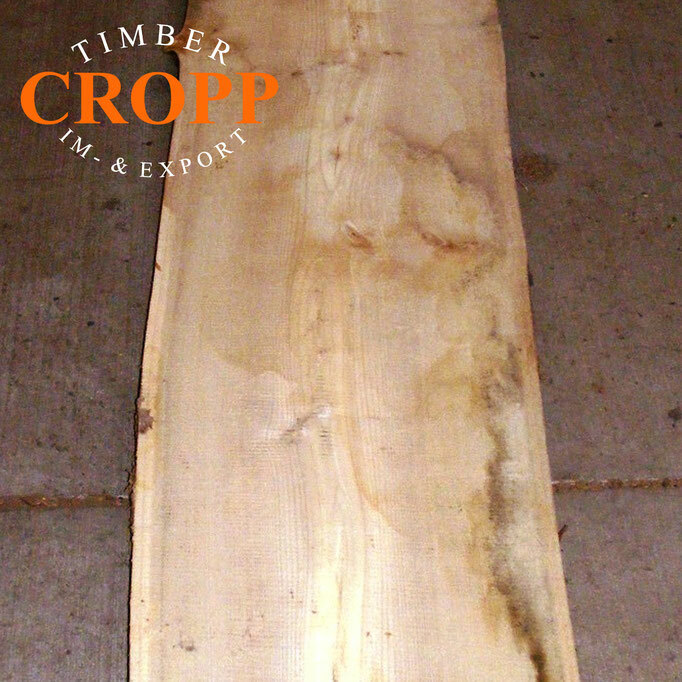 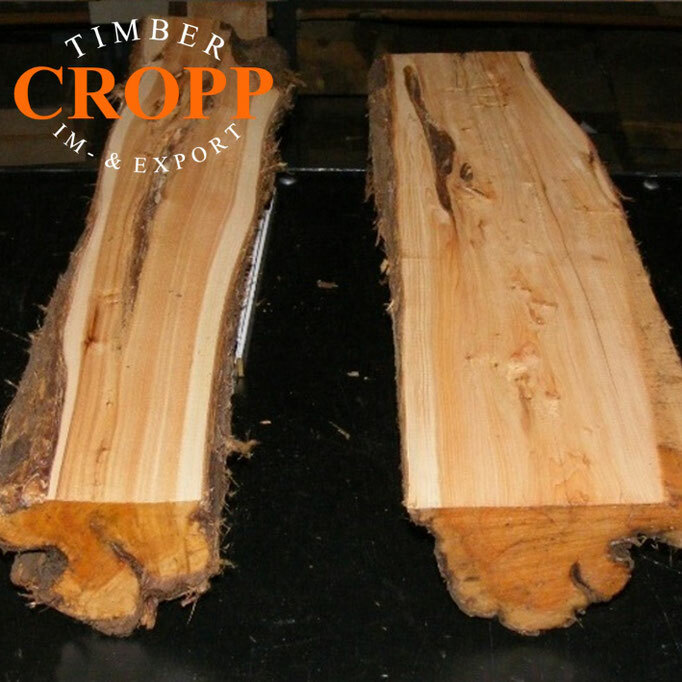 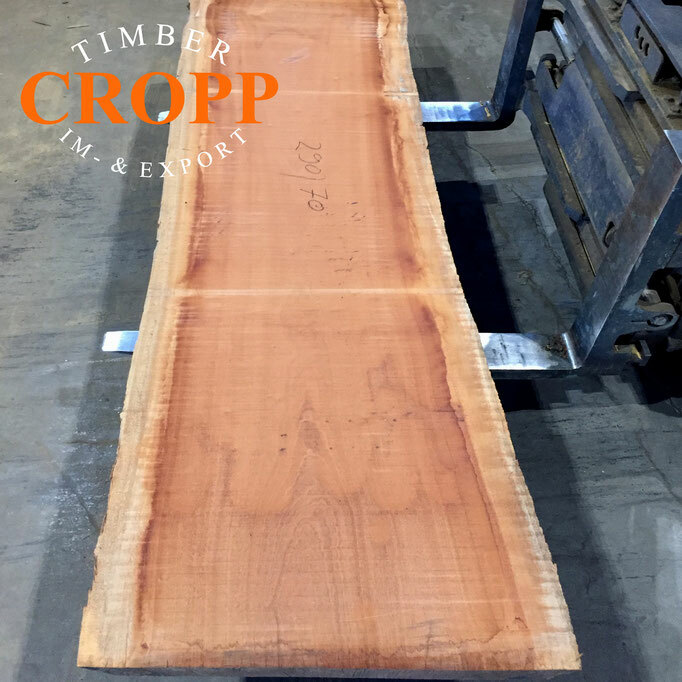 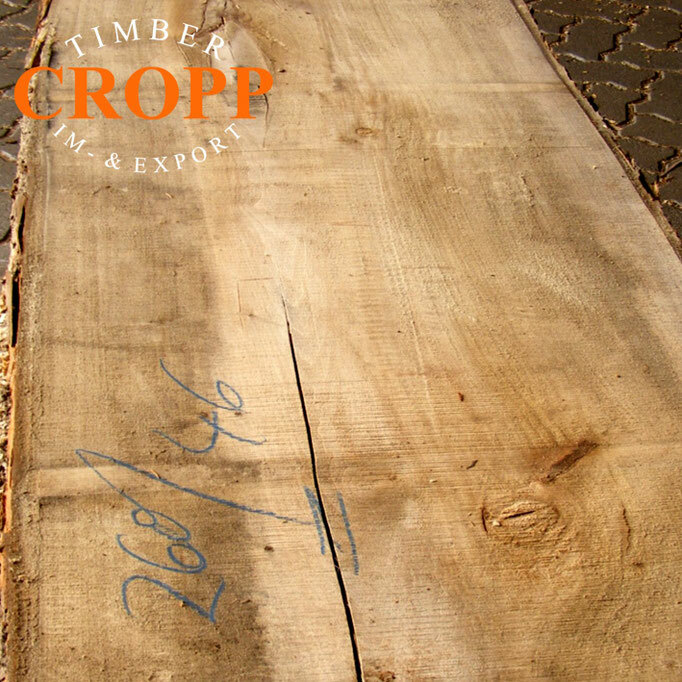 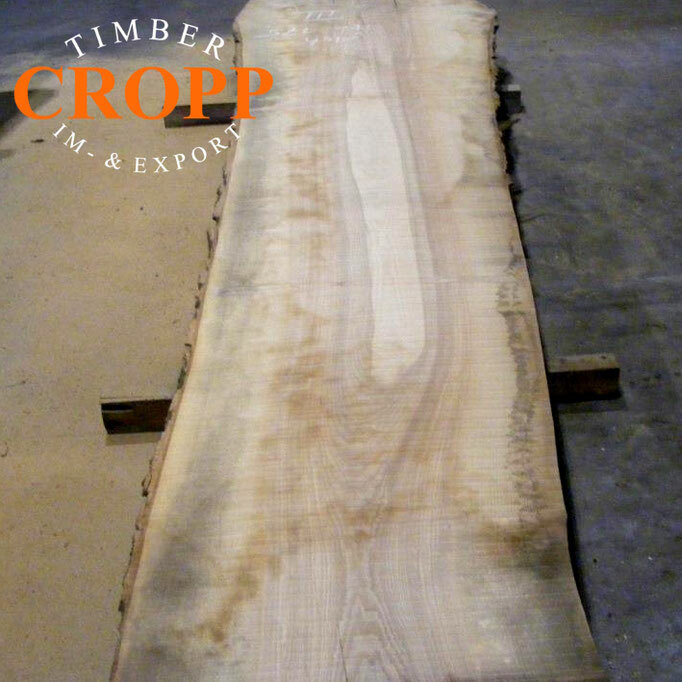 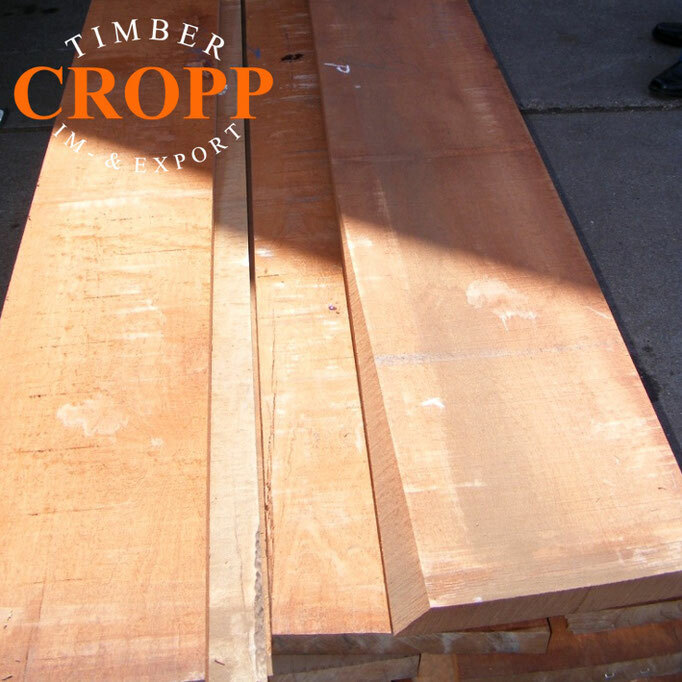 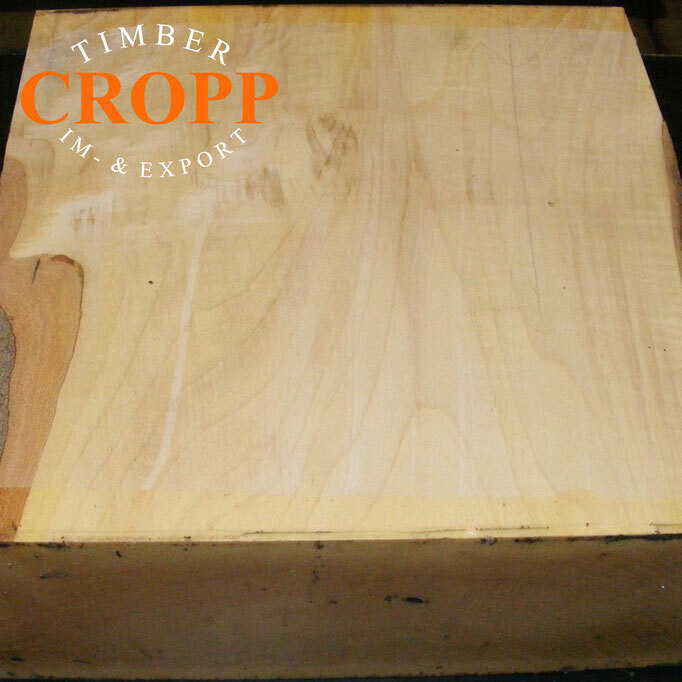 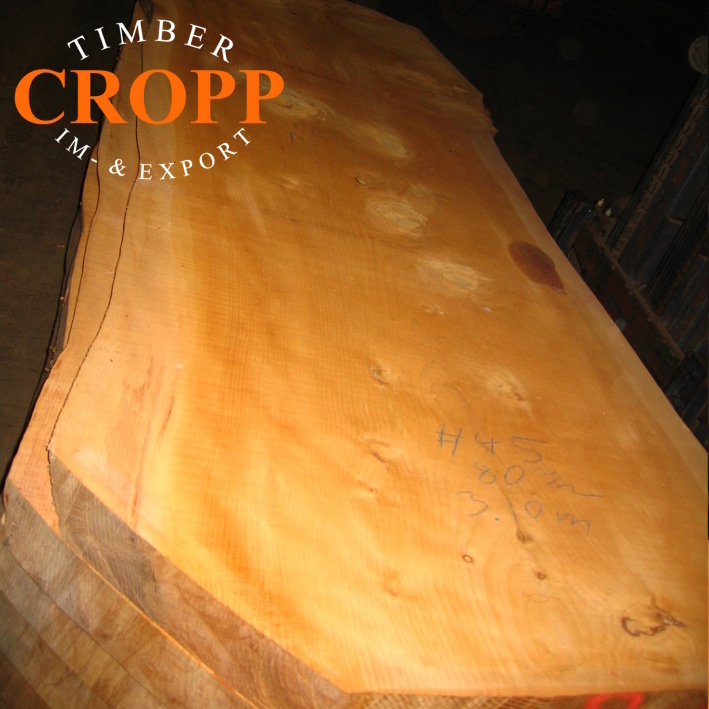 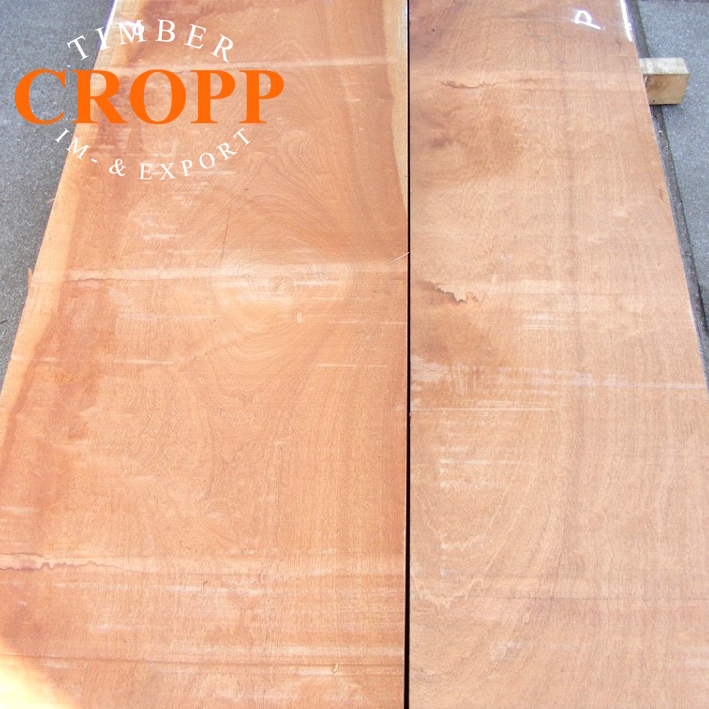 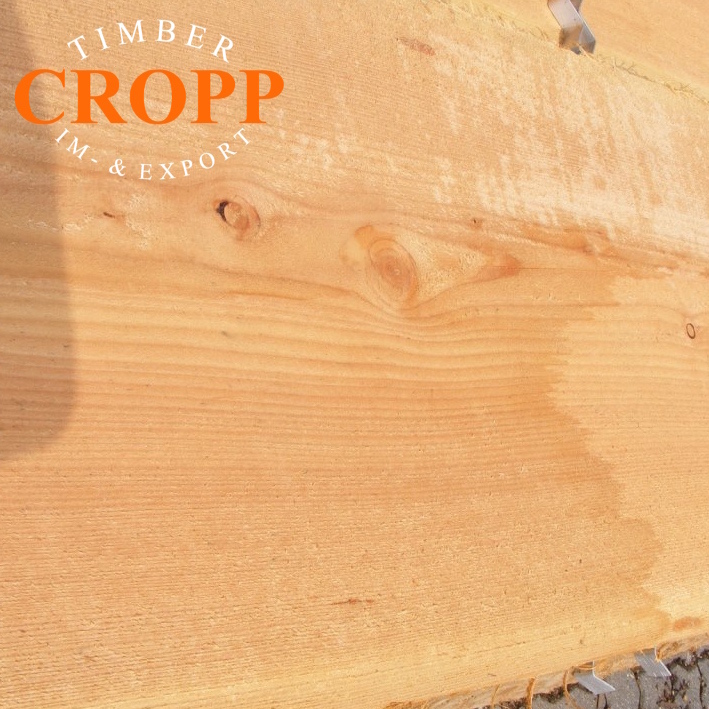 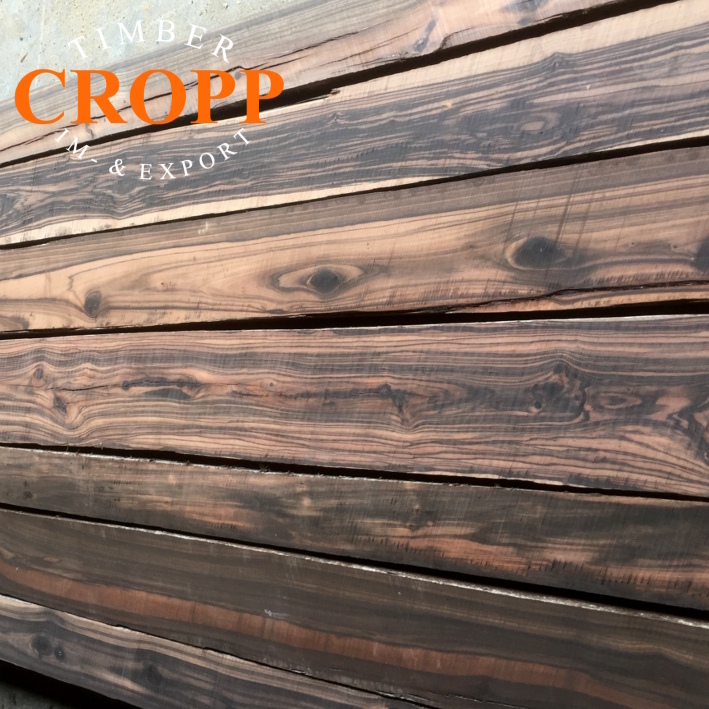 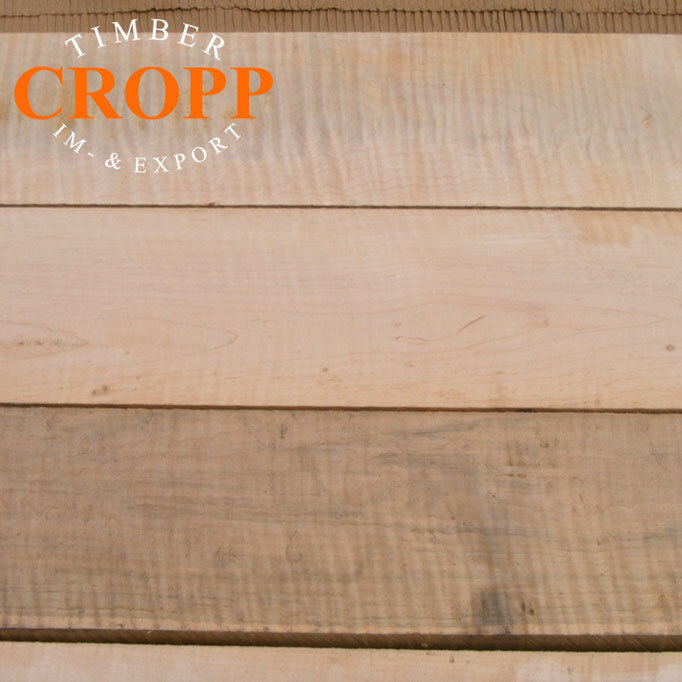 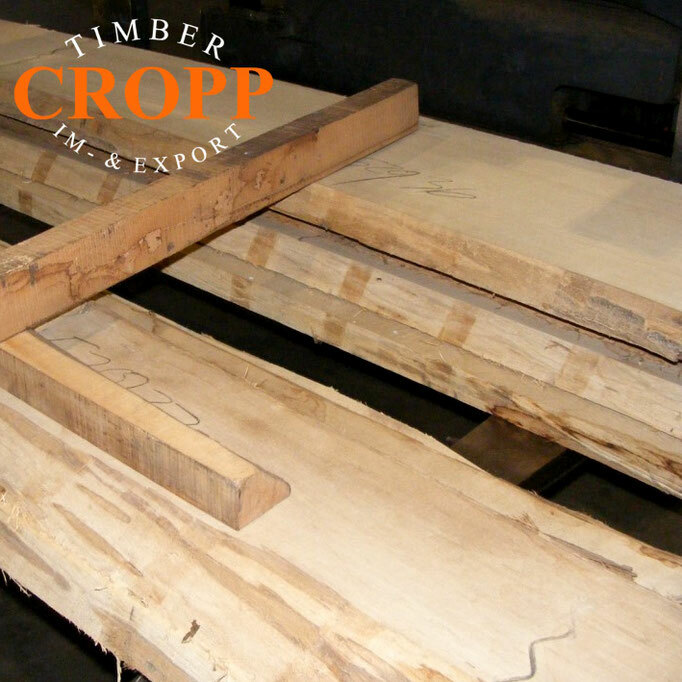 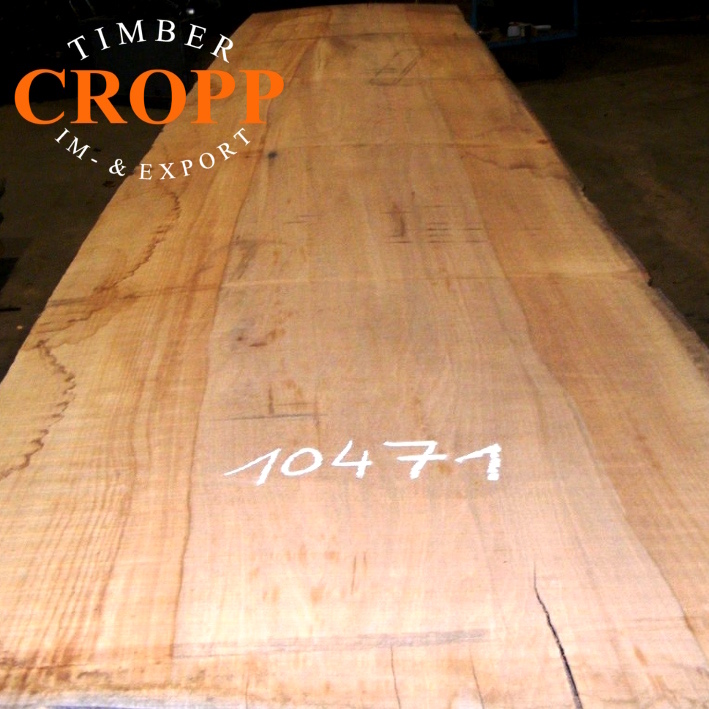 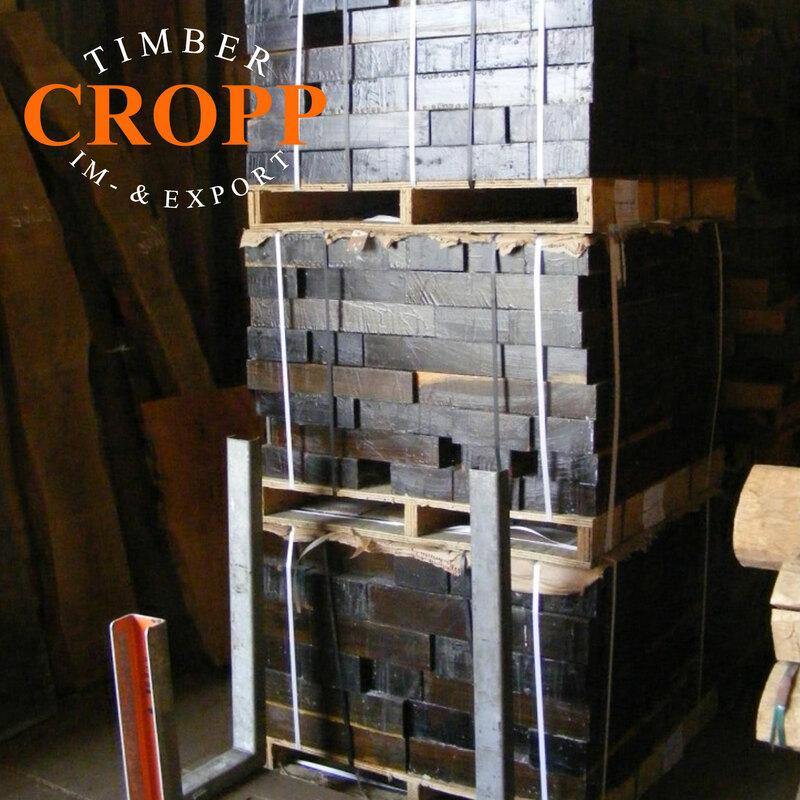 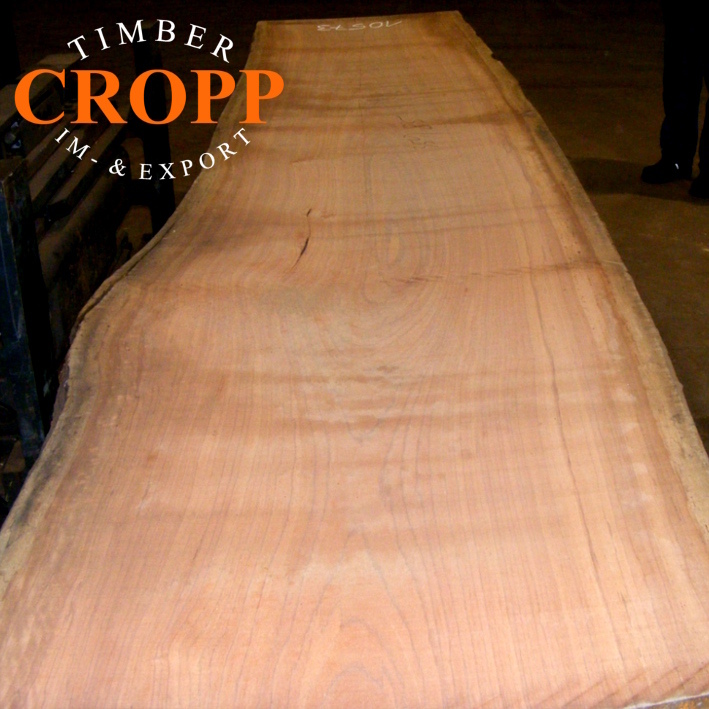 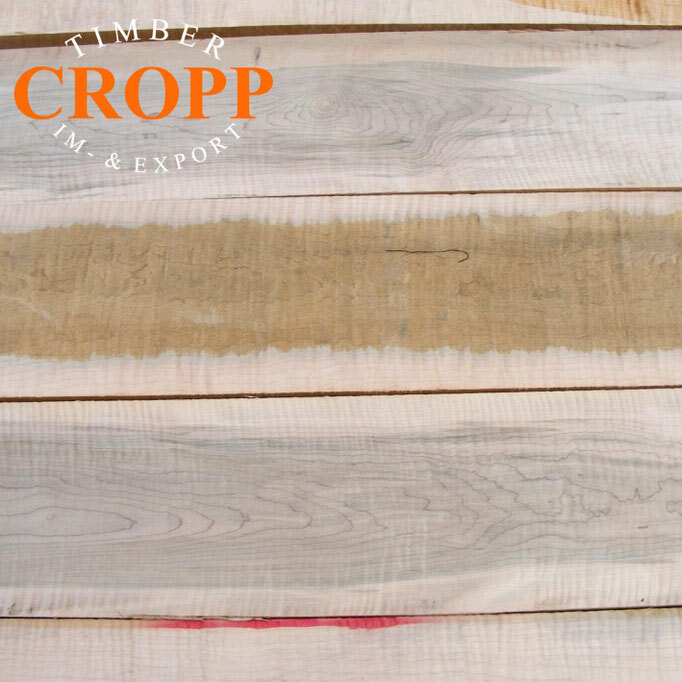 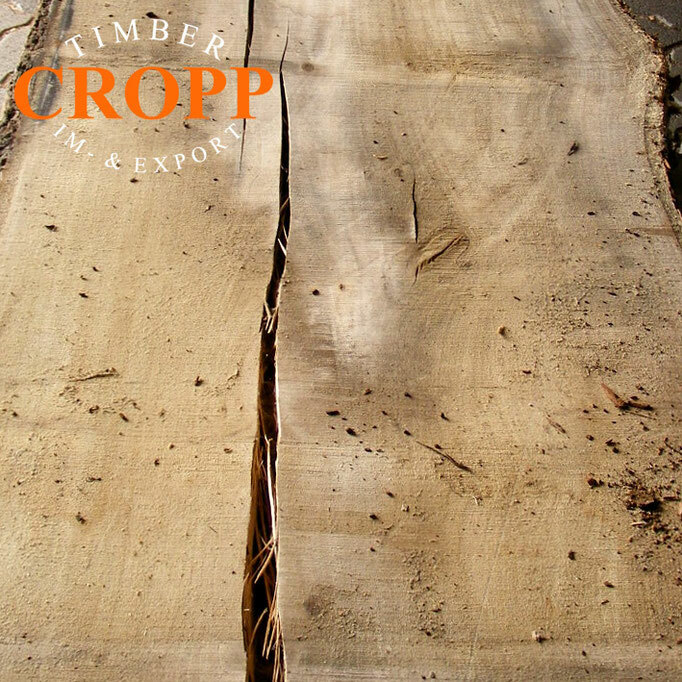 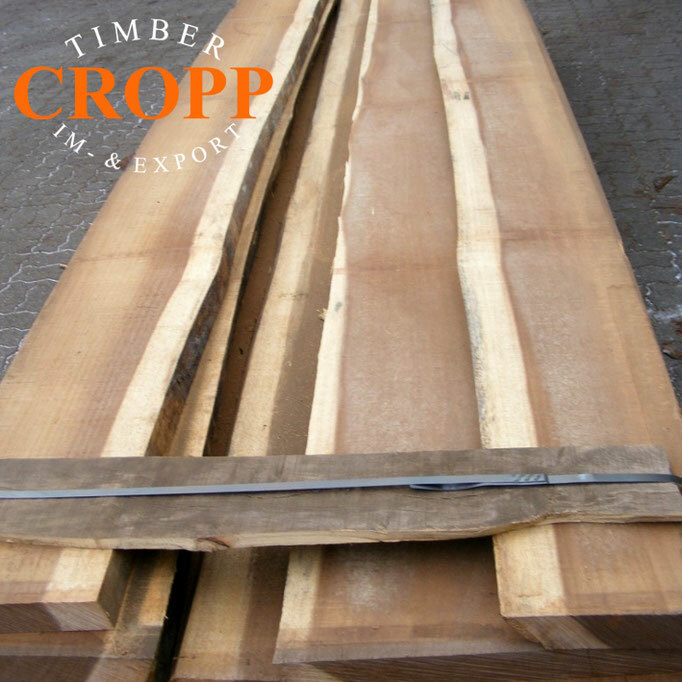 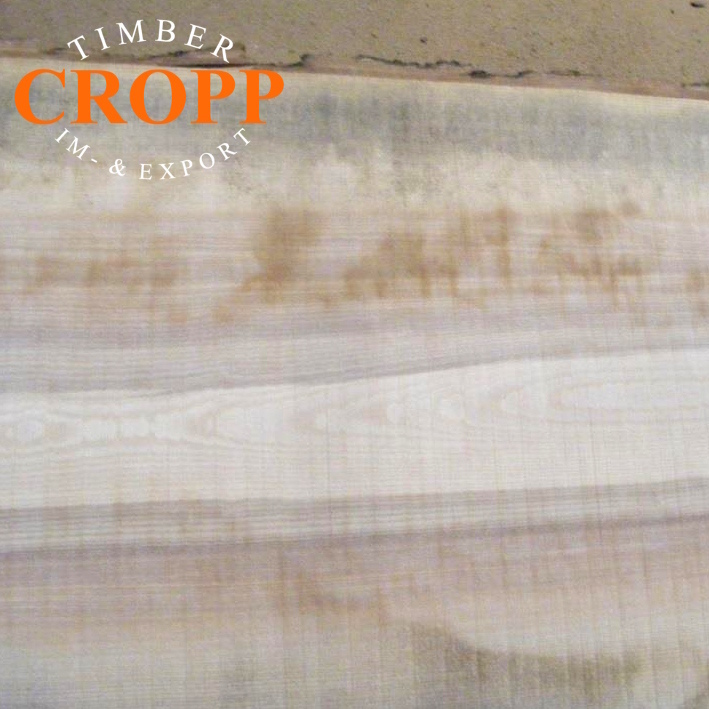 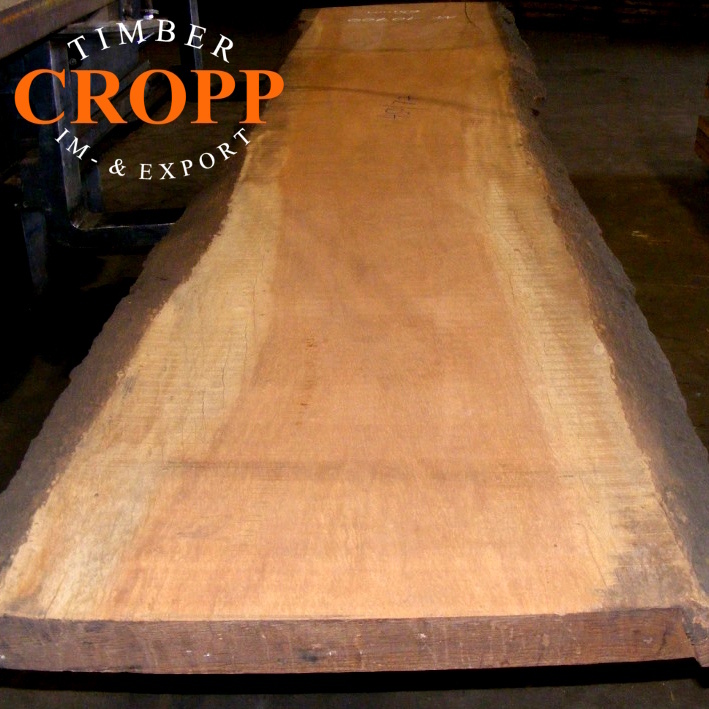 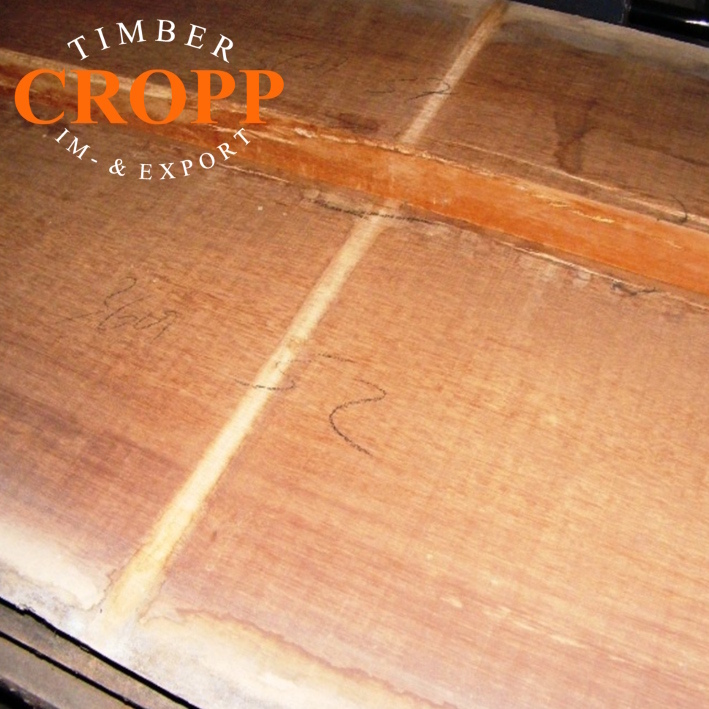 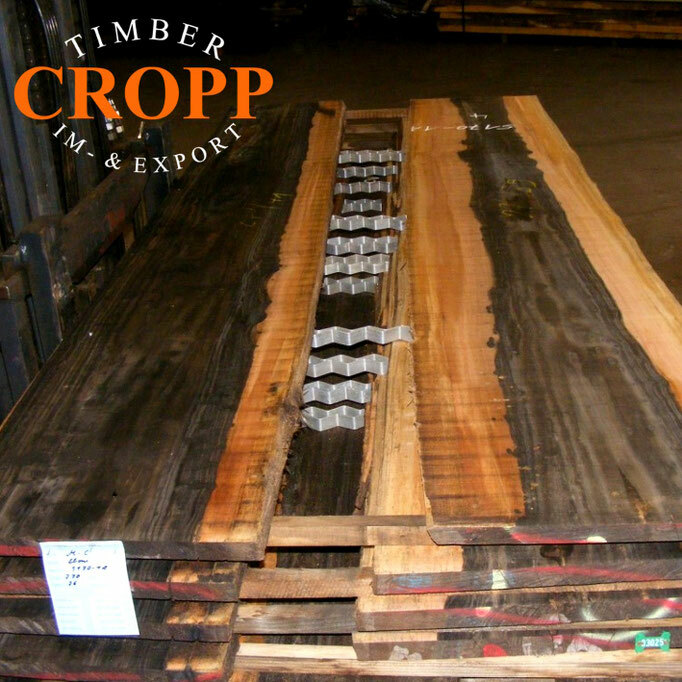 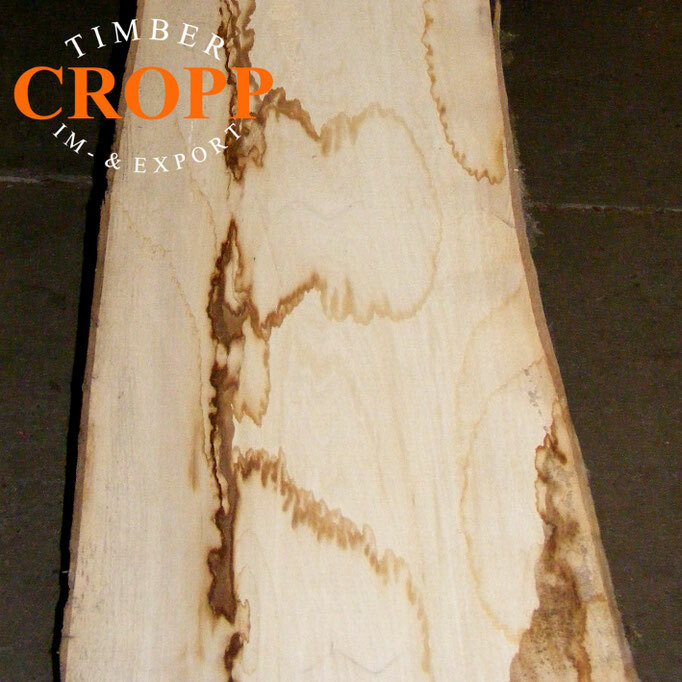 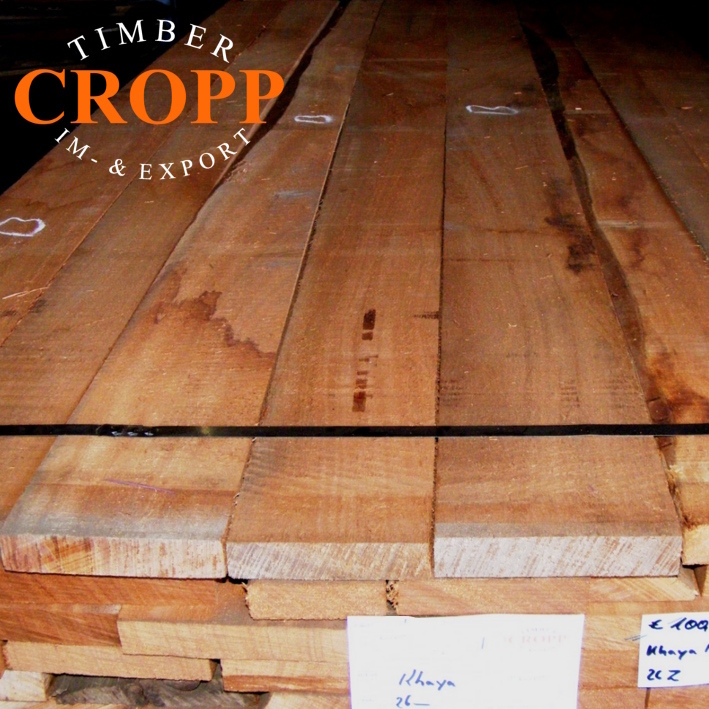 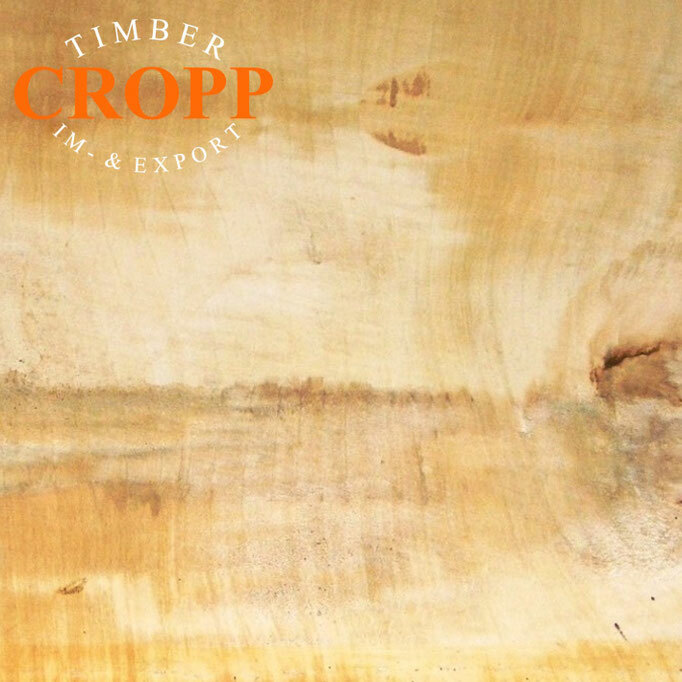 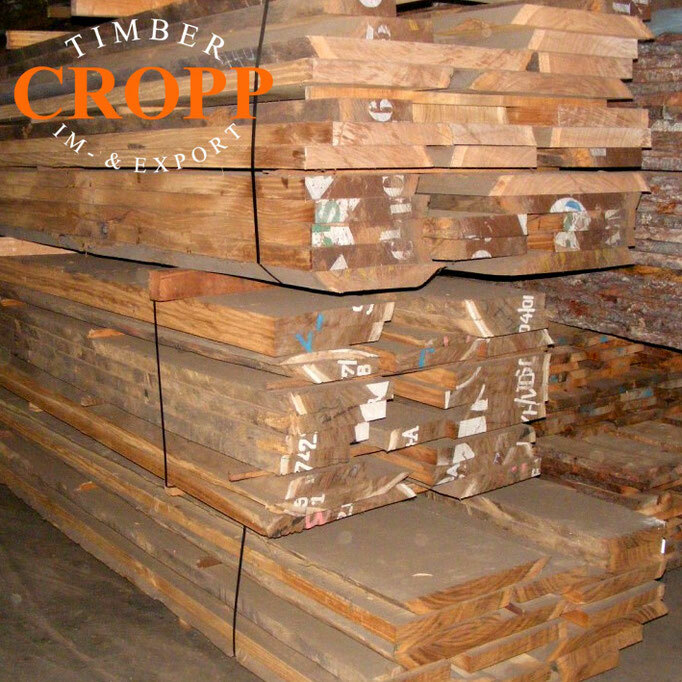 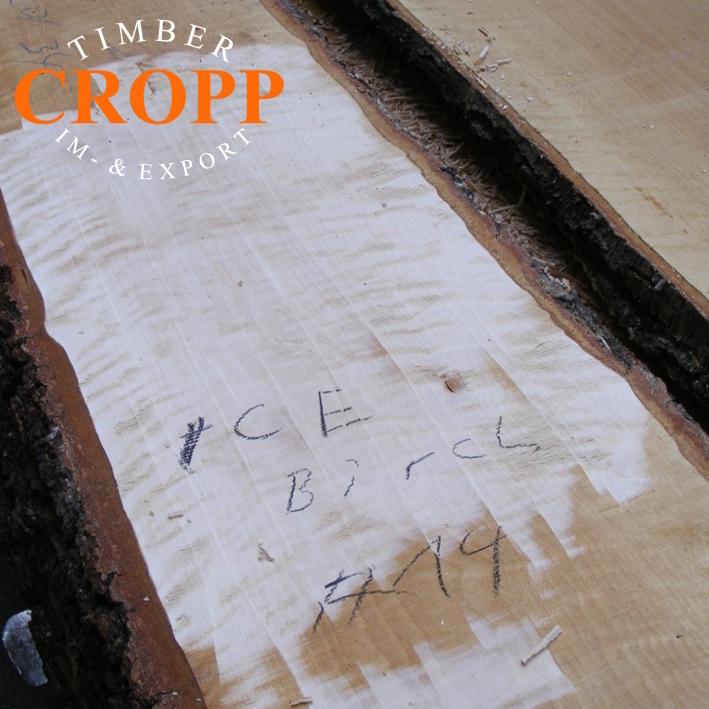 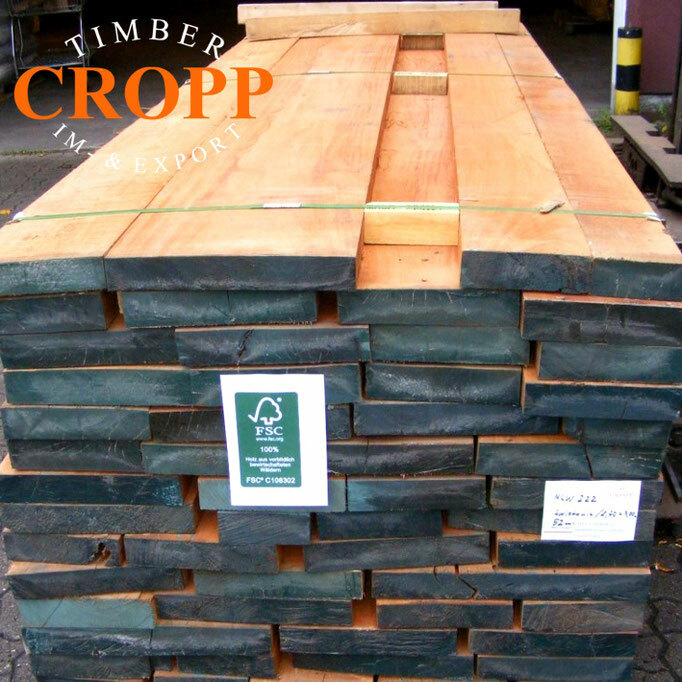 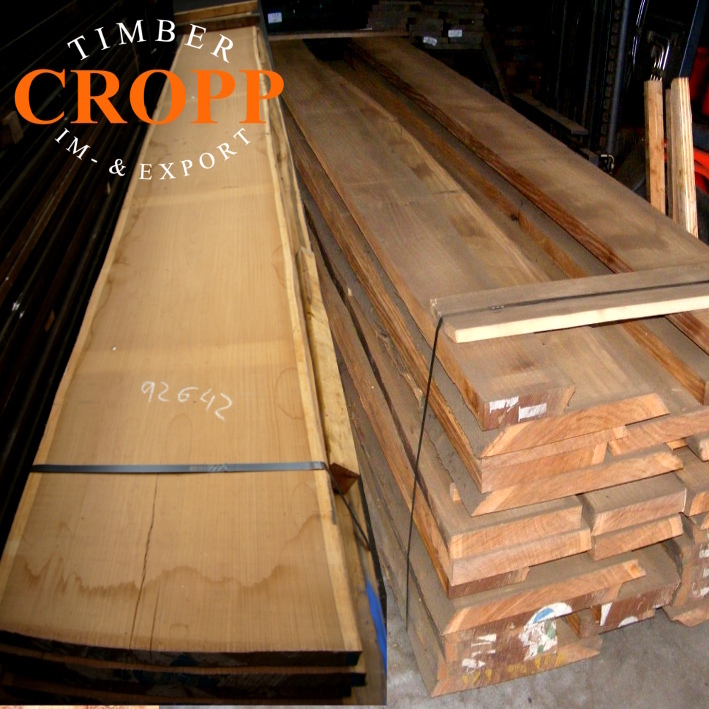 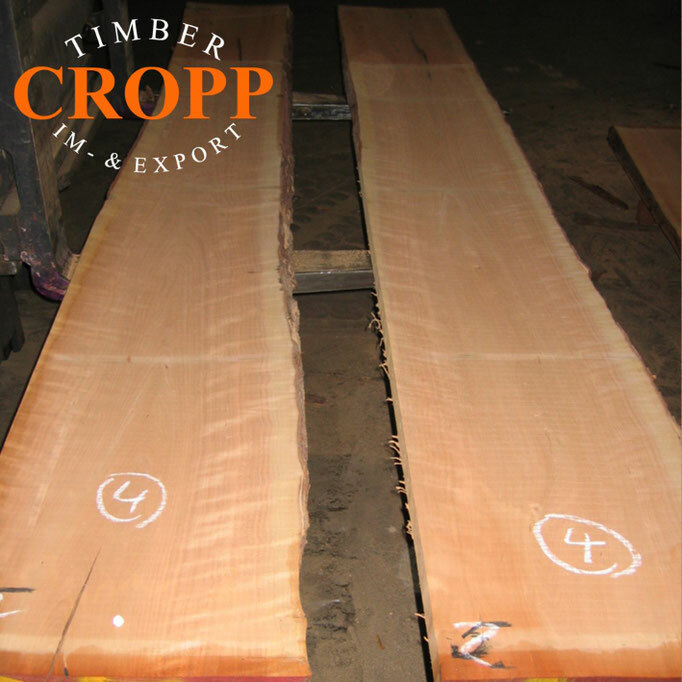 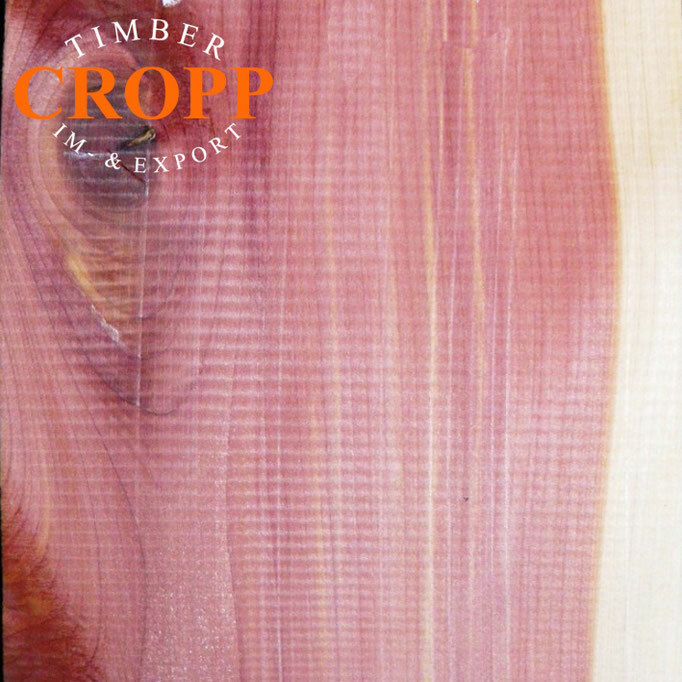 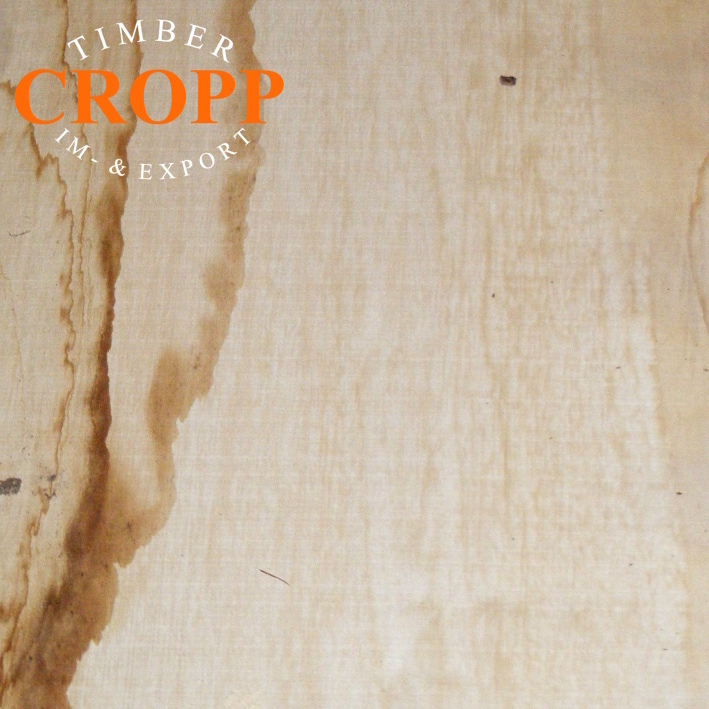 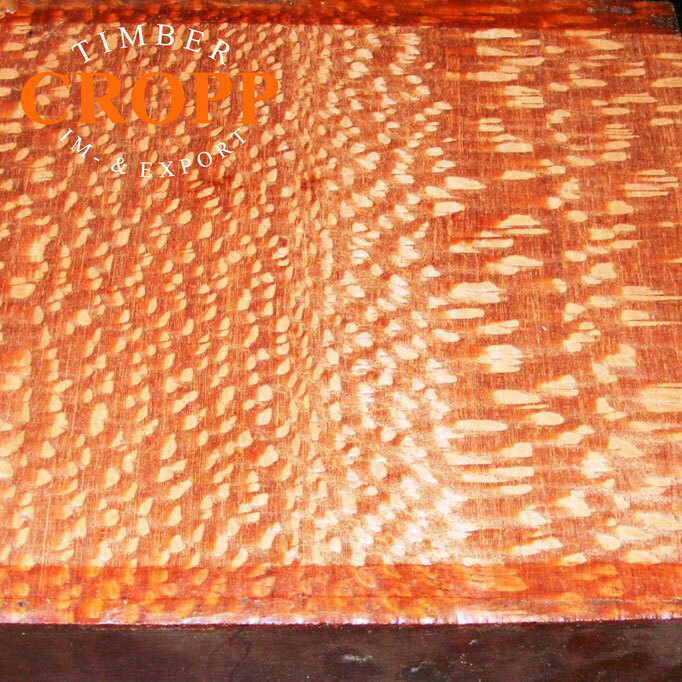 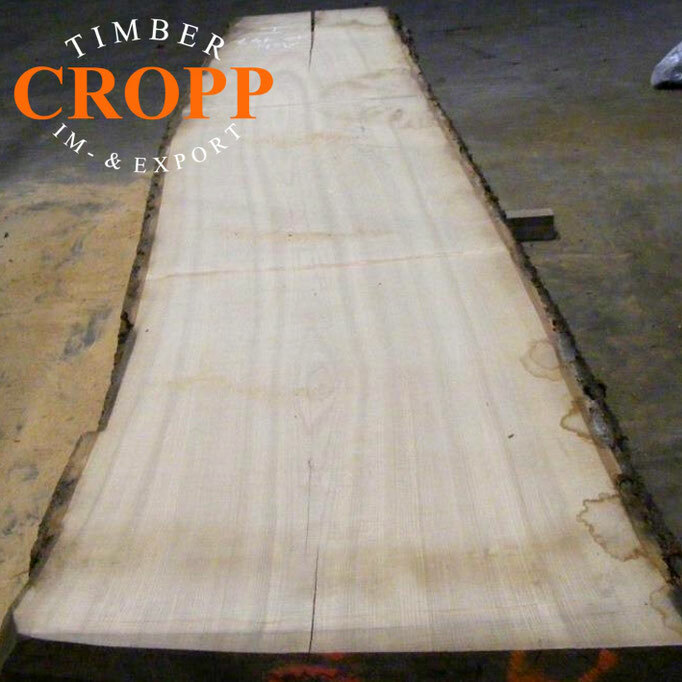 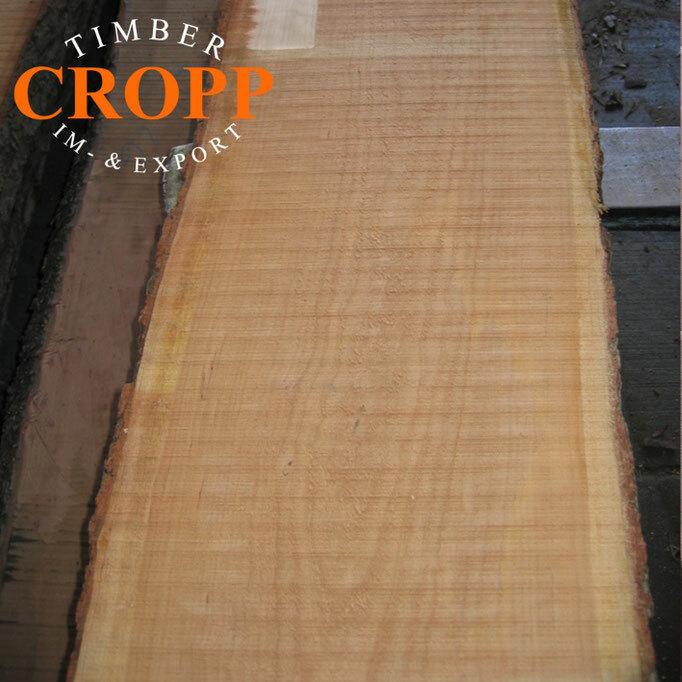 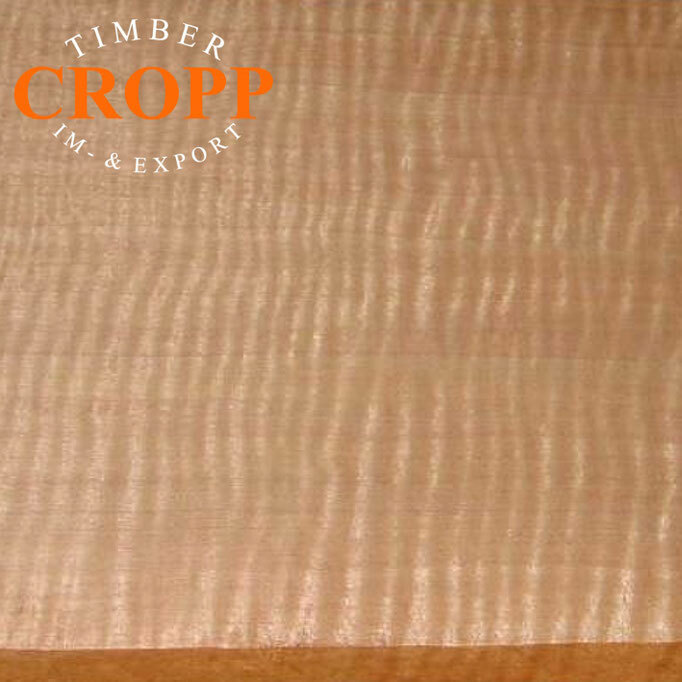 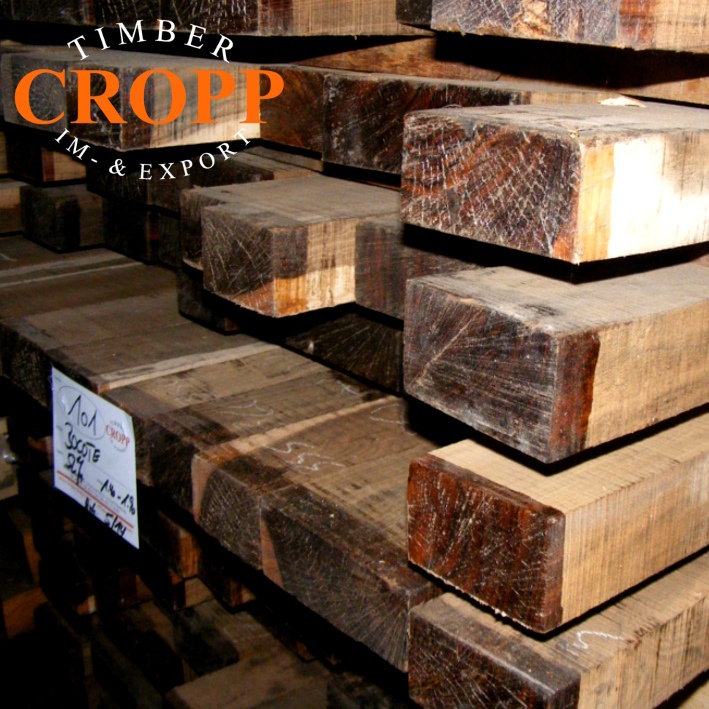 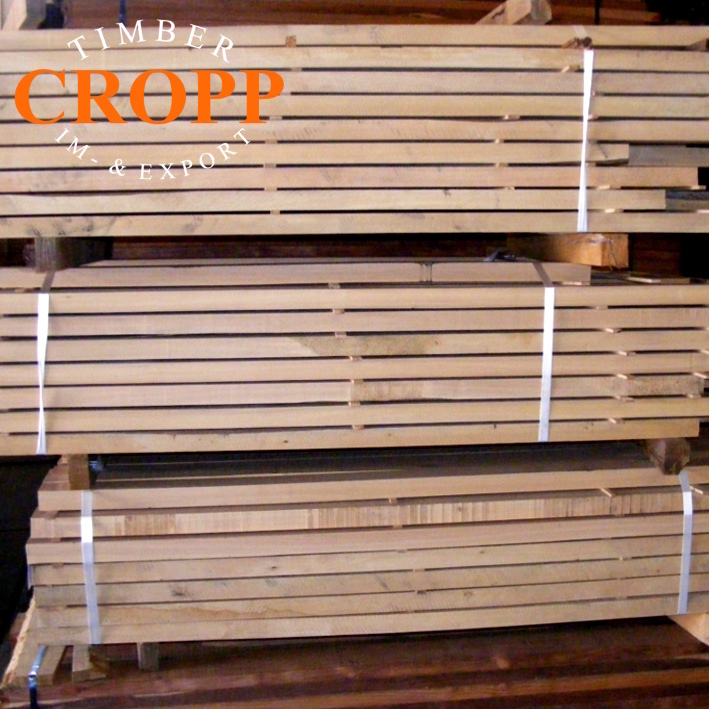 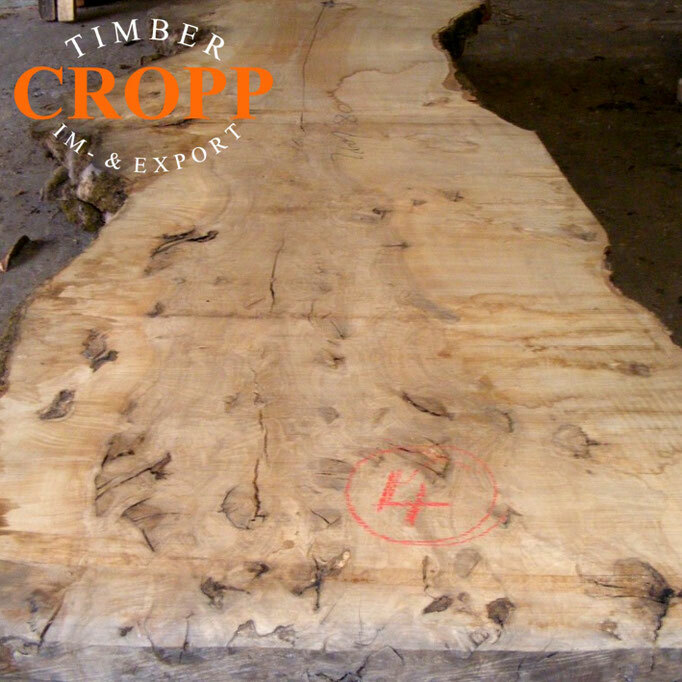 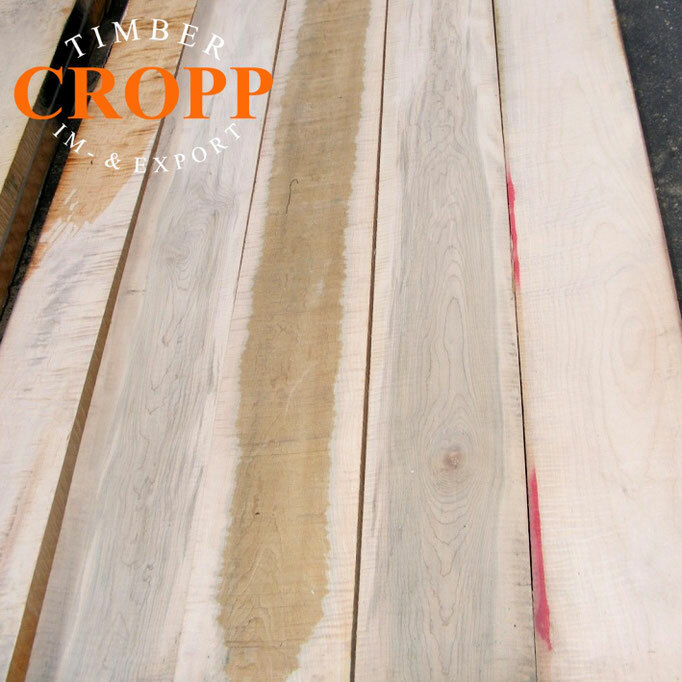 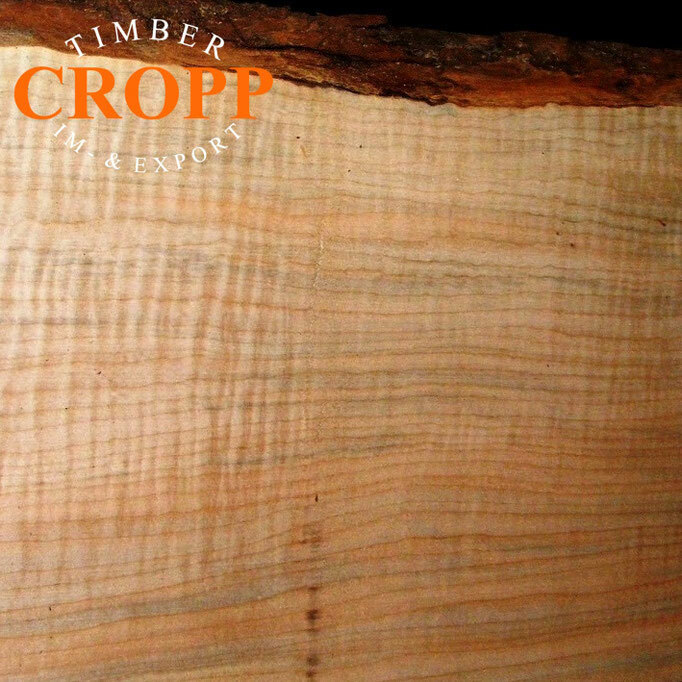 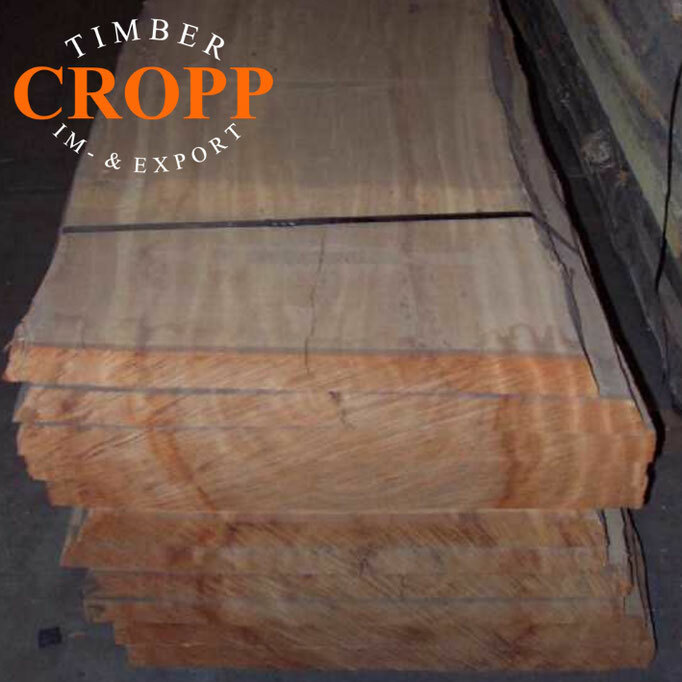 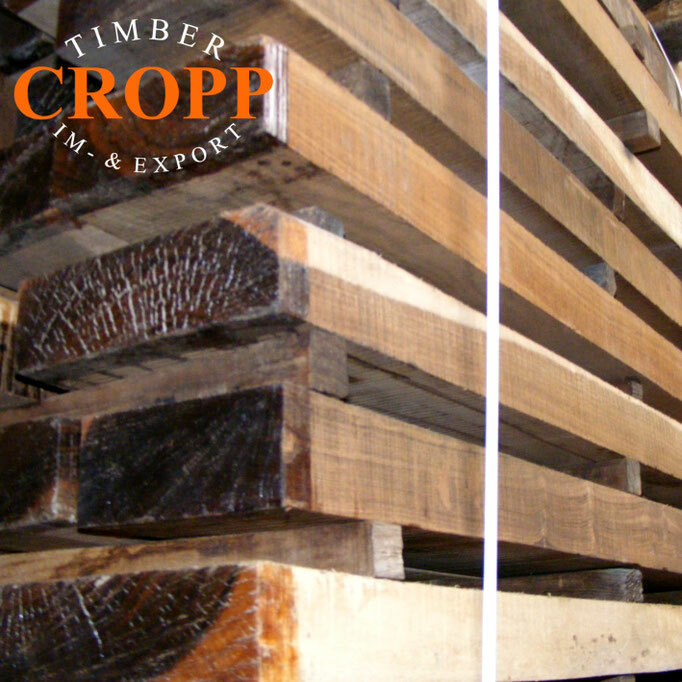 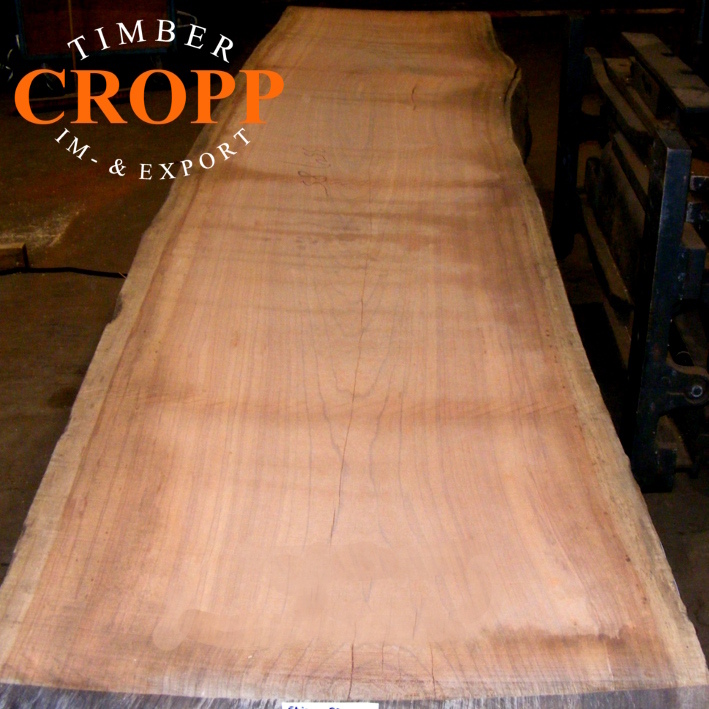 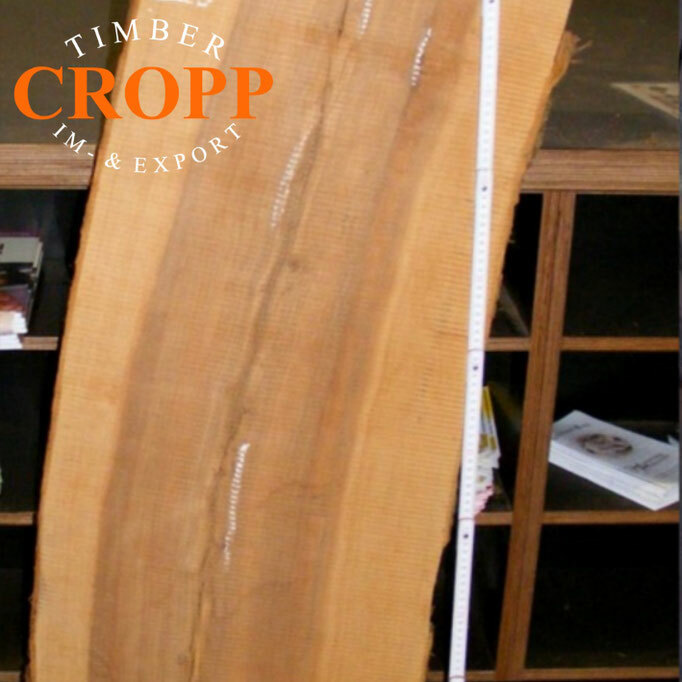 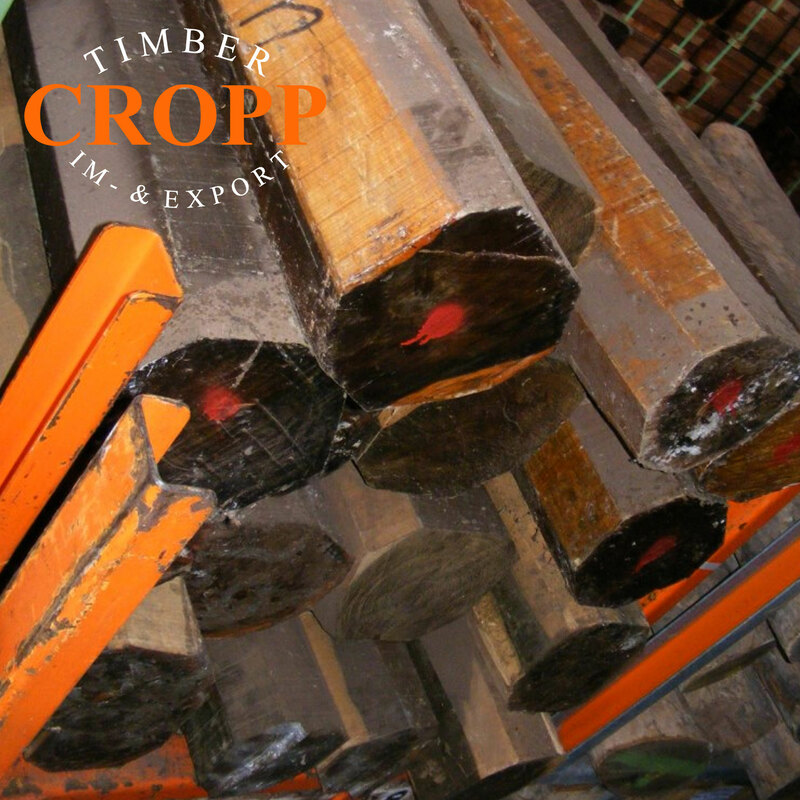 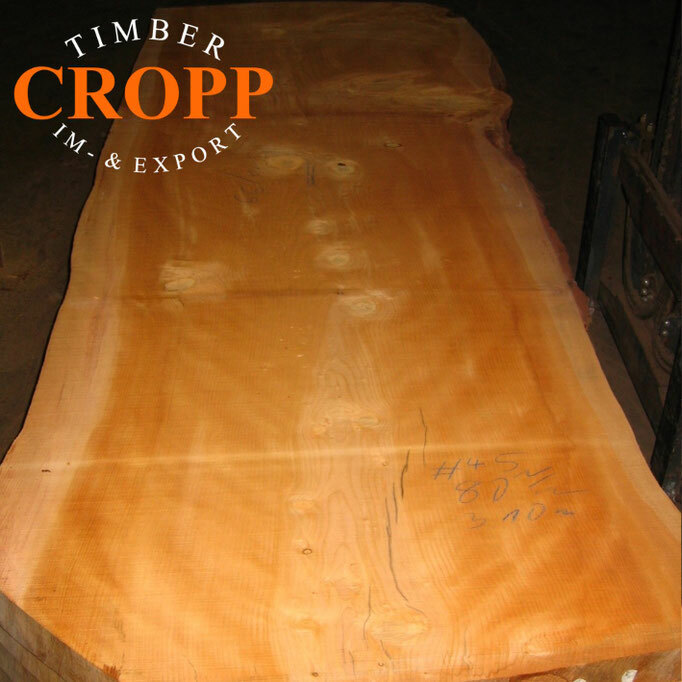 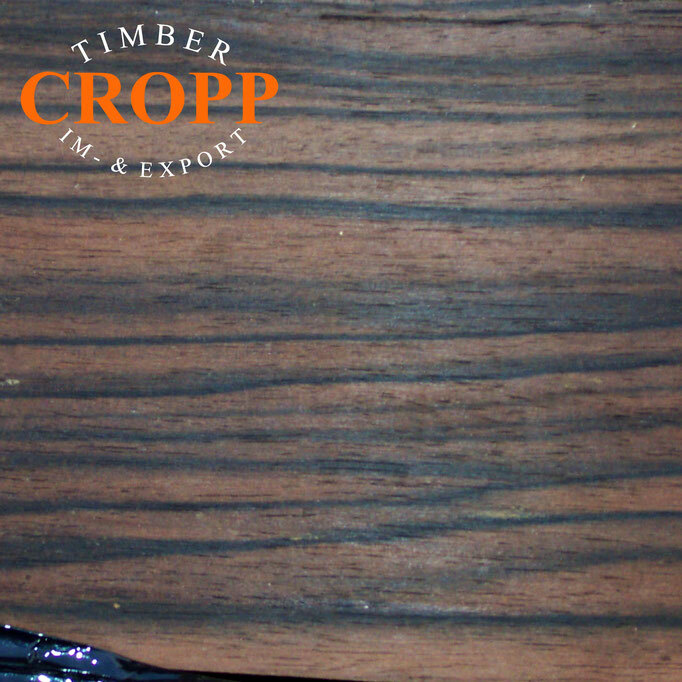 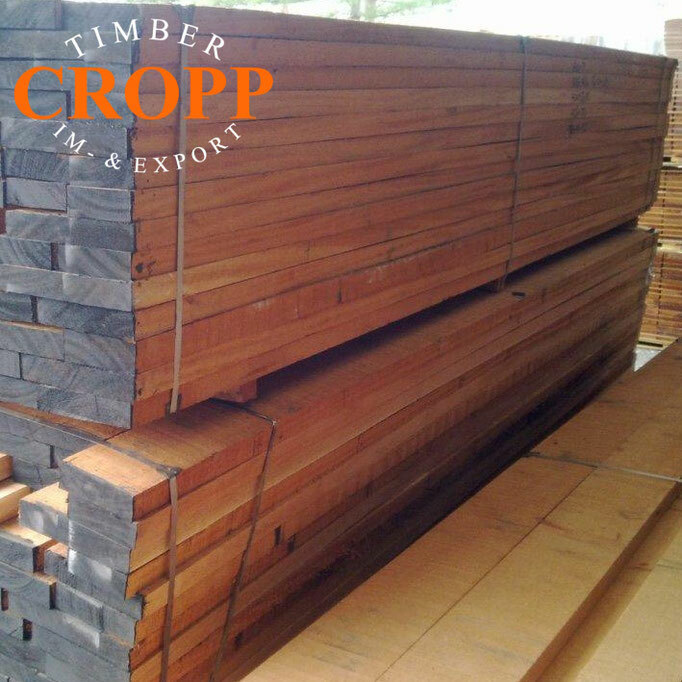 Since 1919 the import and export from domestic and exotic timber is our speciality. Mainly we concentrate on hardwoods and rare species. As a trader with a big stock we are always able to offer about 130 different species from all around the world at our store in Hamburg, Germany. 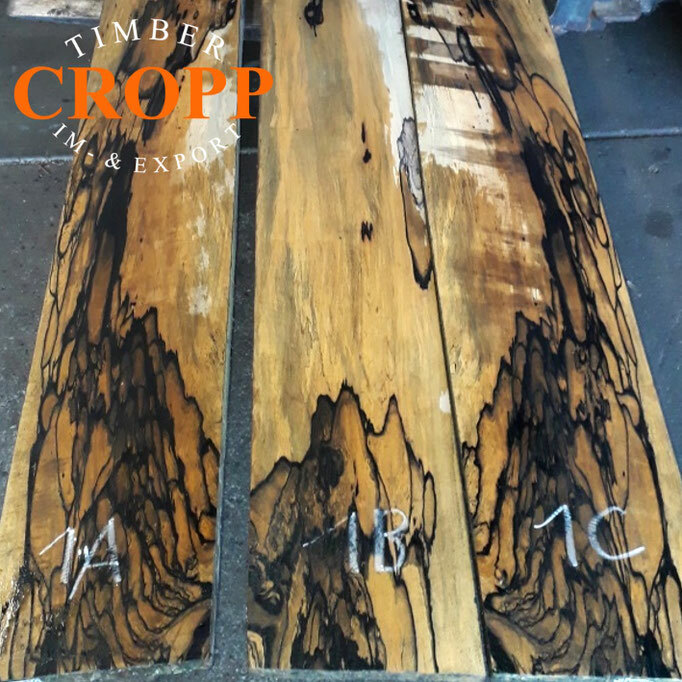 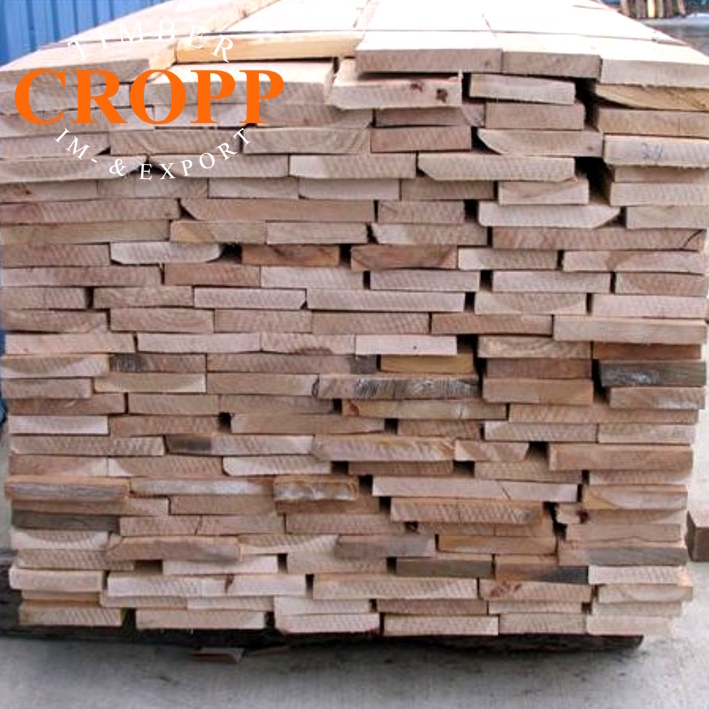 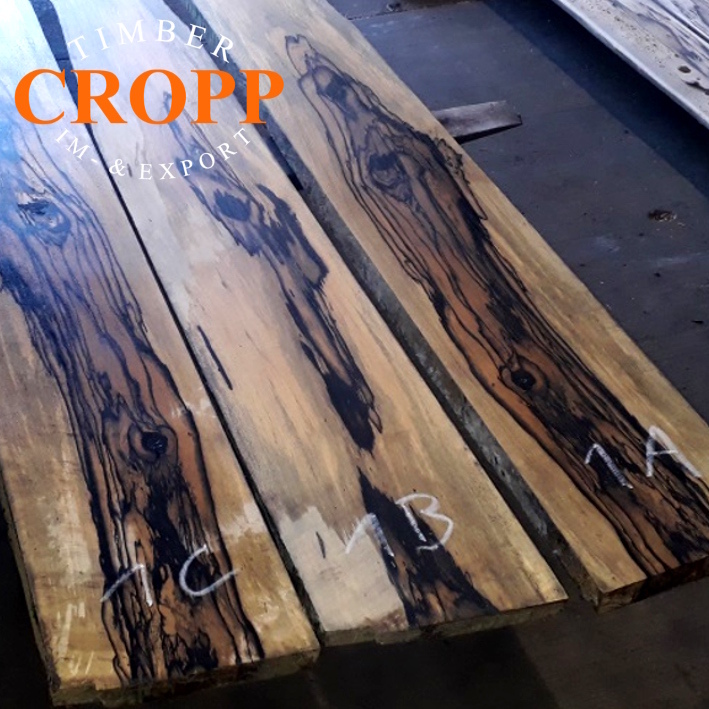 Our long-term experience in purchase, treatment, drying and storing different types of wood makes us a good partner in trading, music industry, interior design and furniture design industry. Between logging and loading, we do all relevant jobs to make the business as simple as possible for our customers. 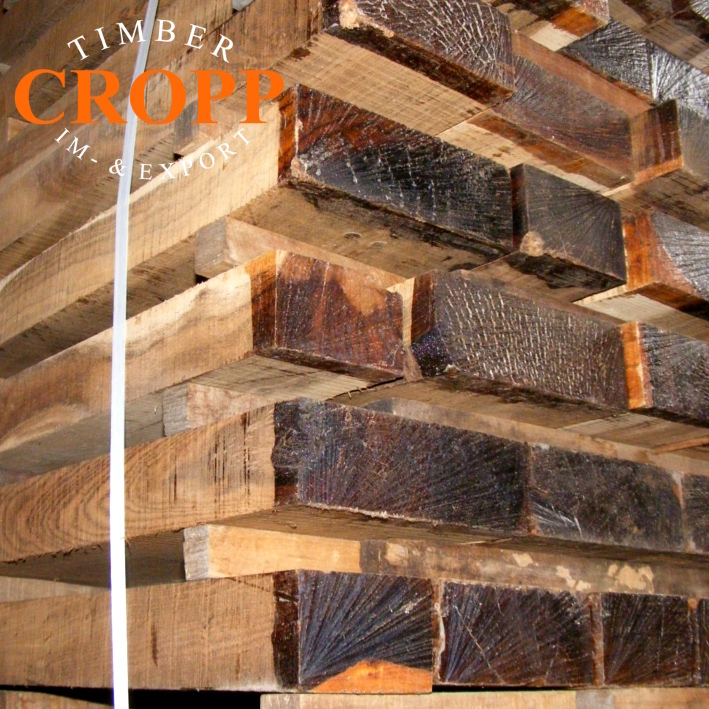 Don't hesitate to ask questions and tell our team about your projects. 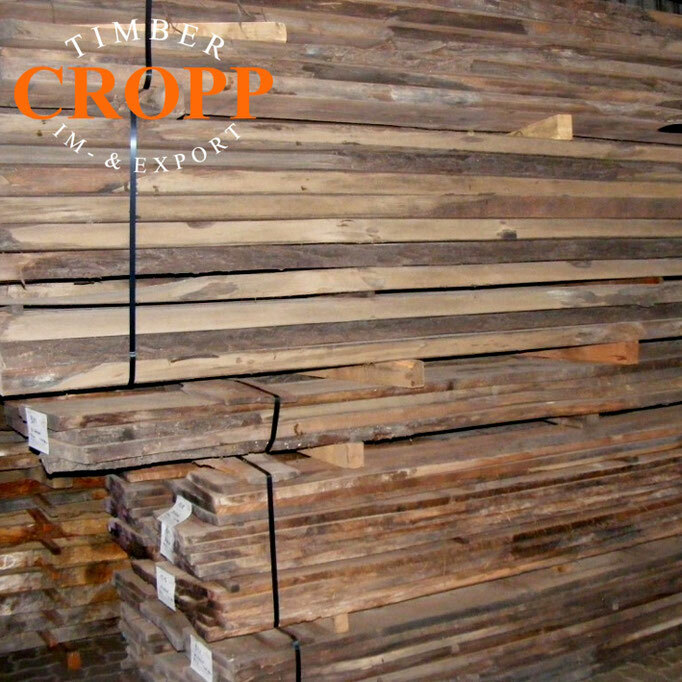 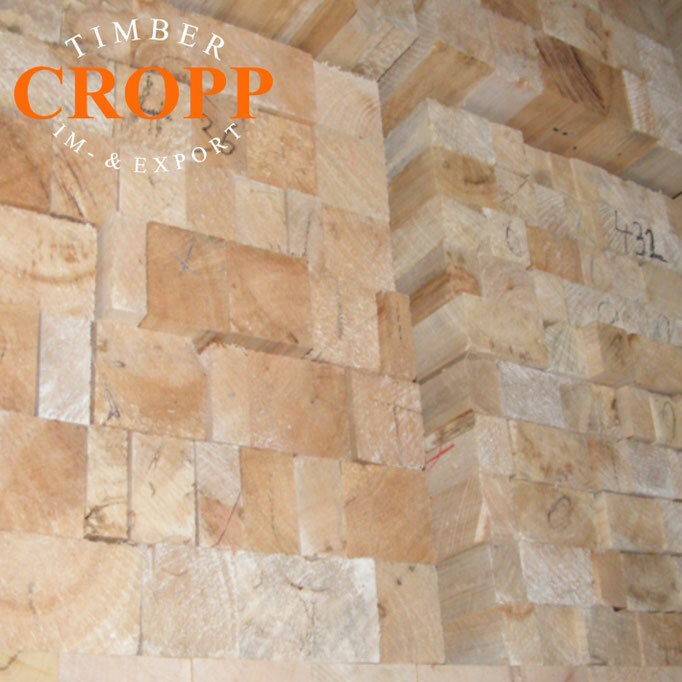 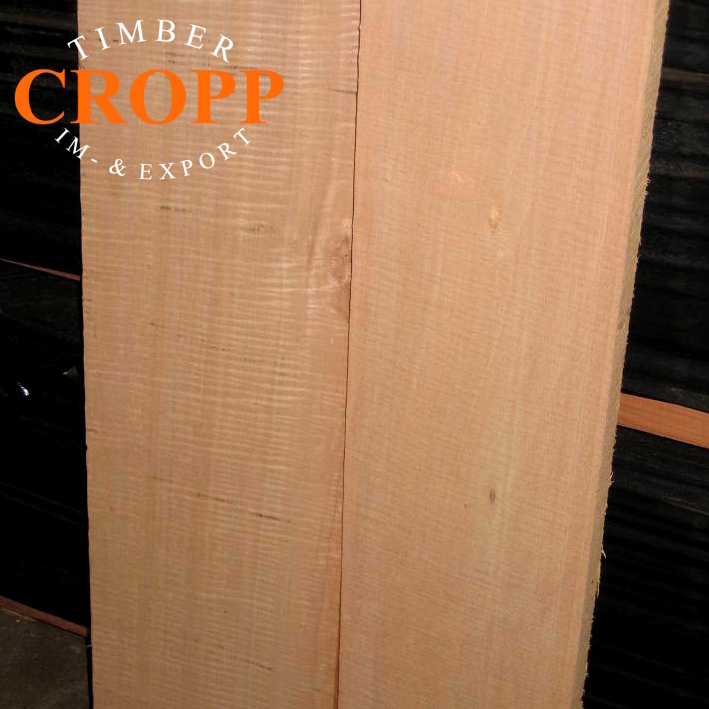 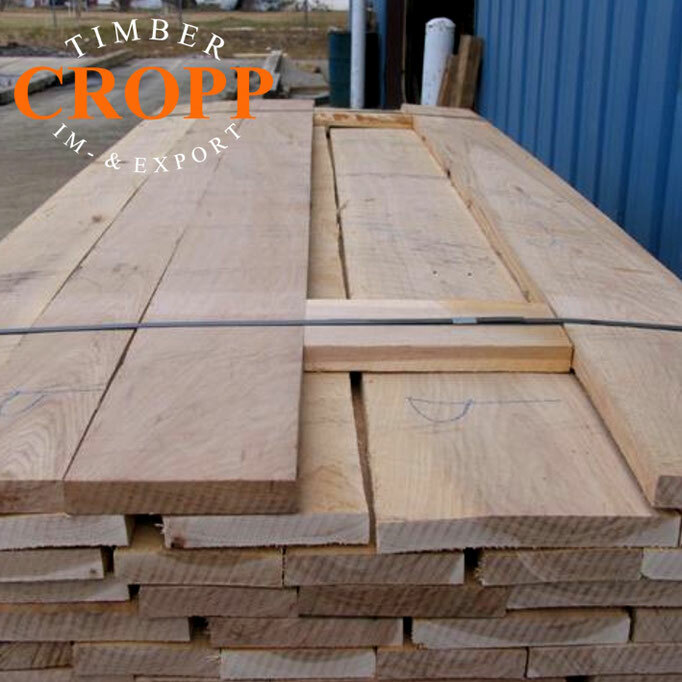 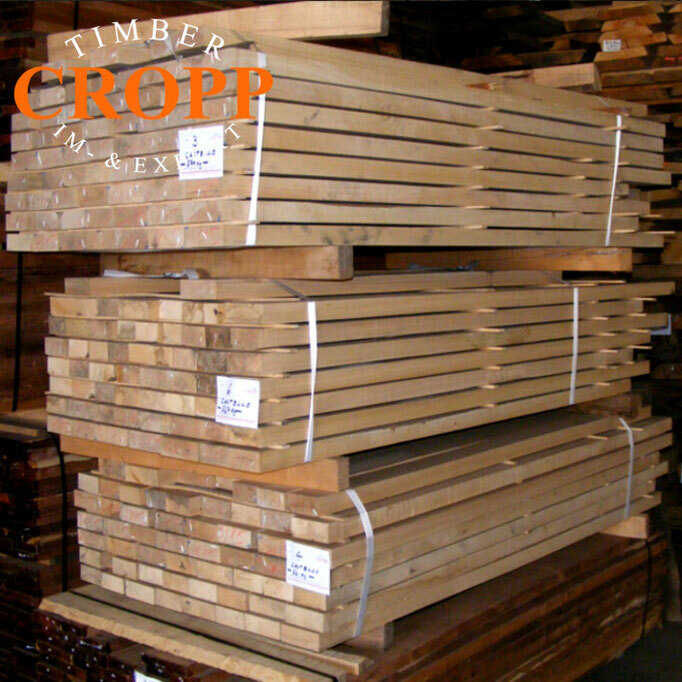 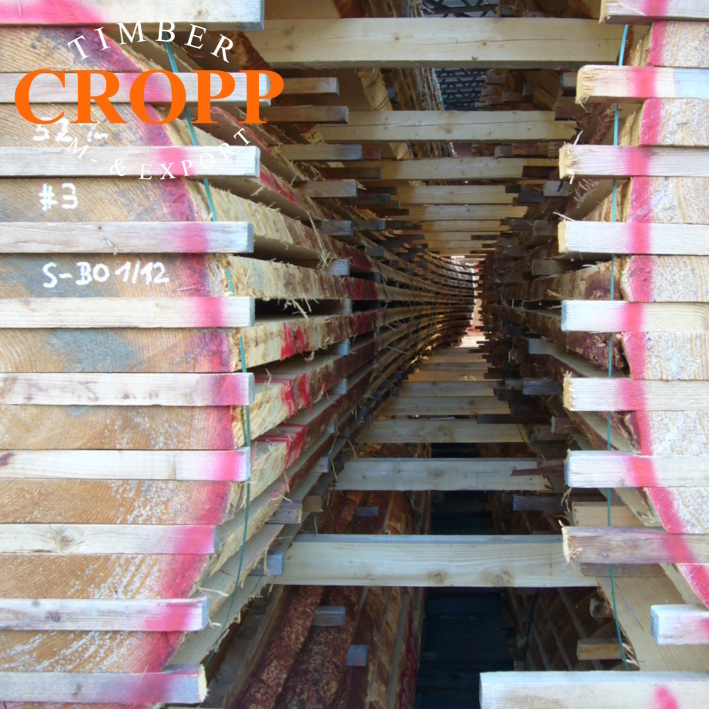 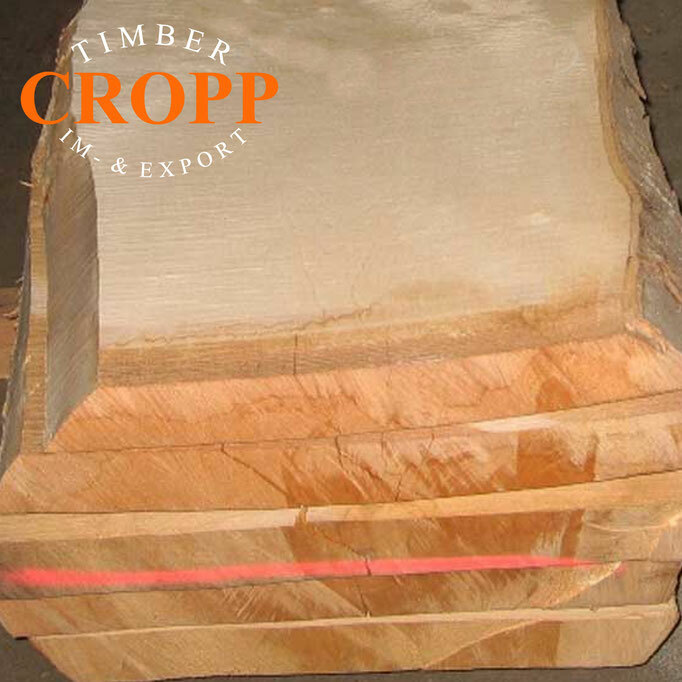 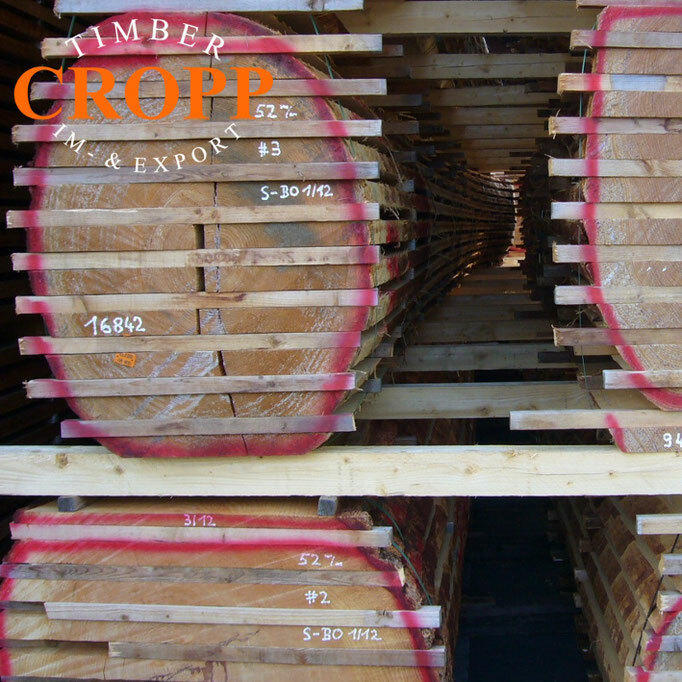 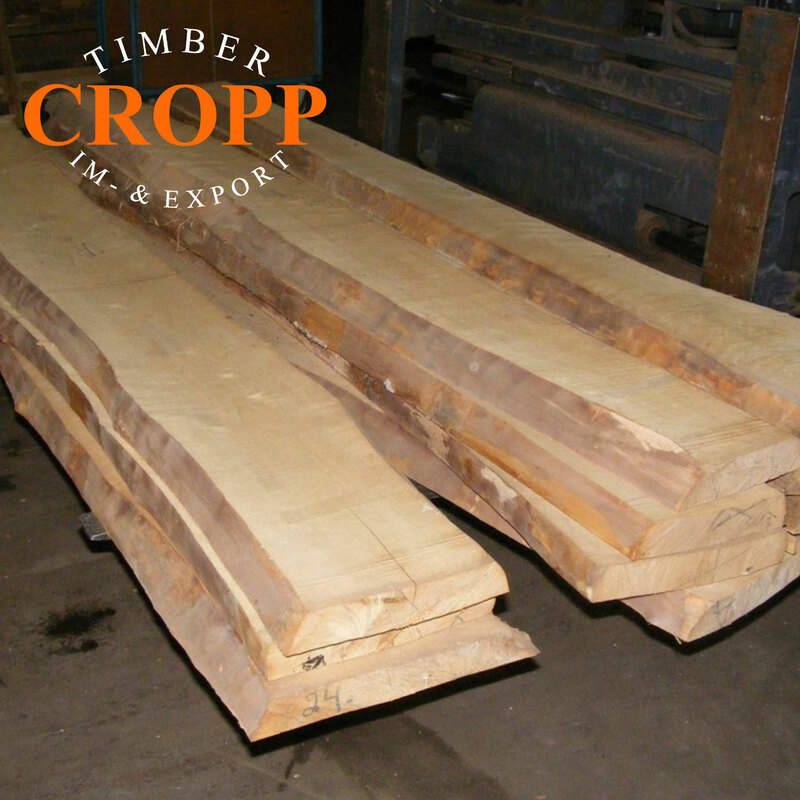 Click here to download our Lumber Stocklist. 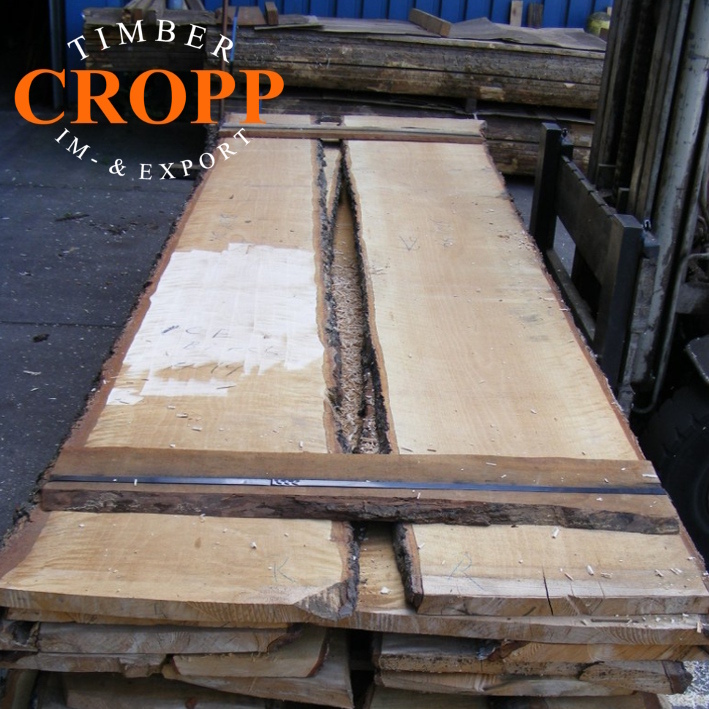 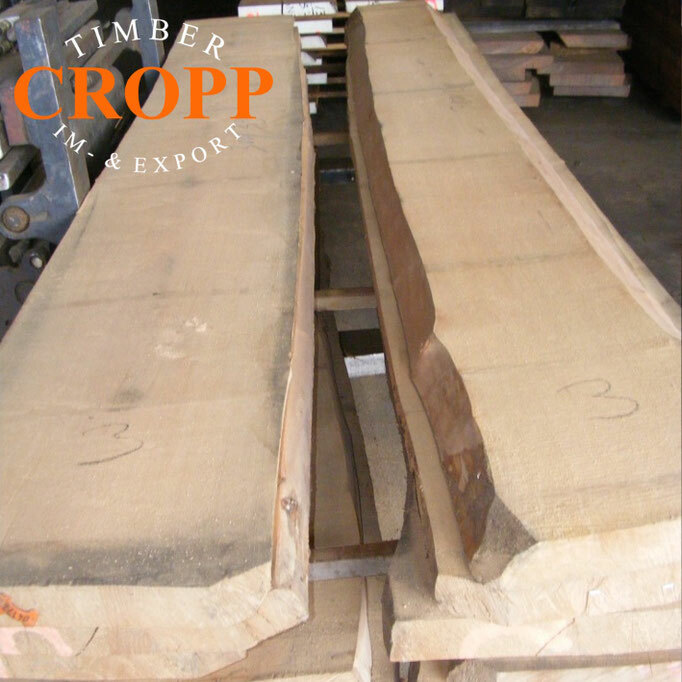 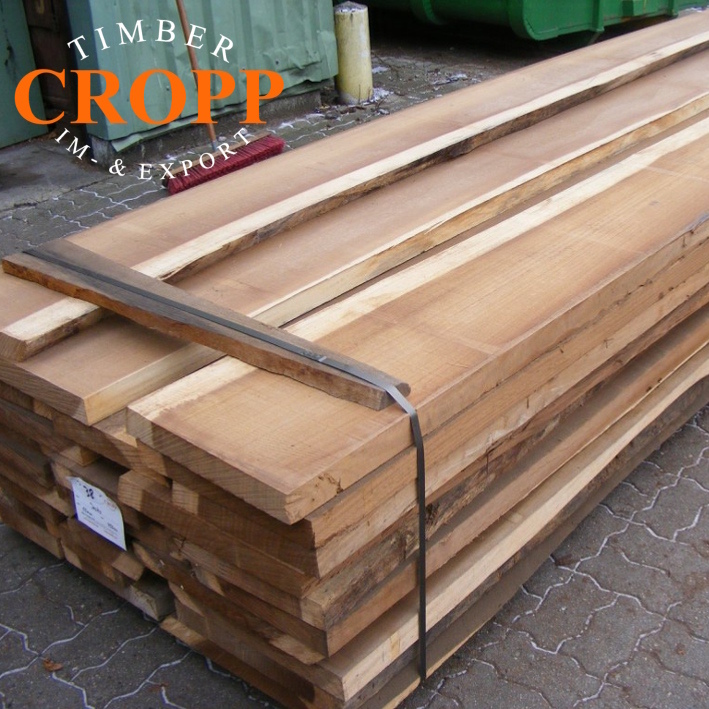 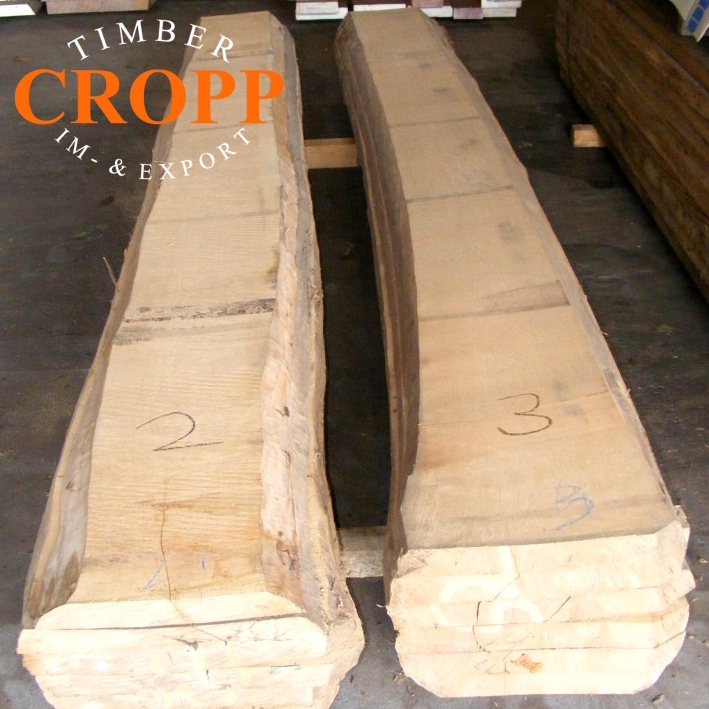 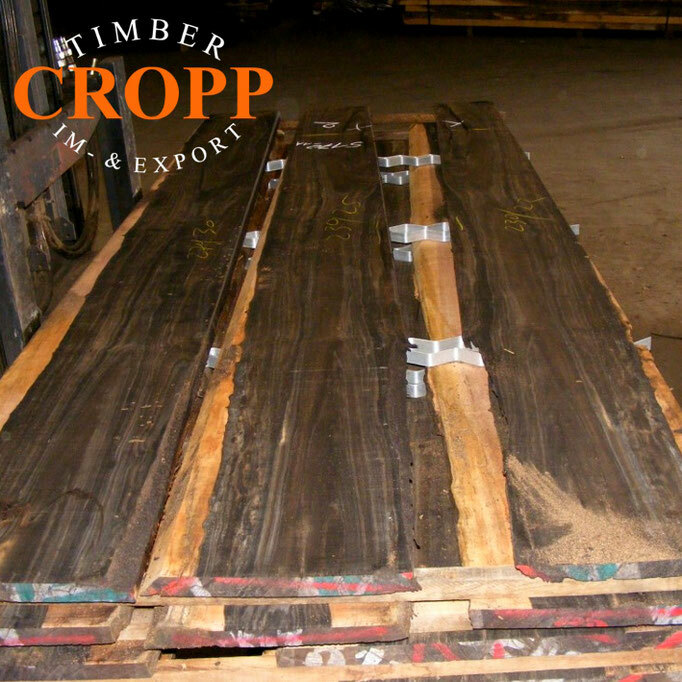 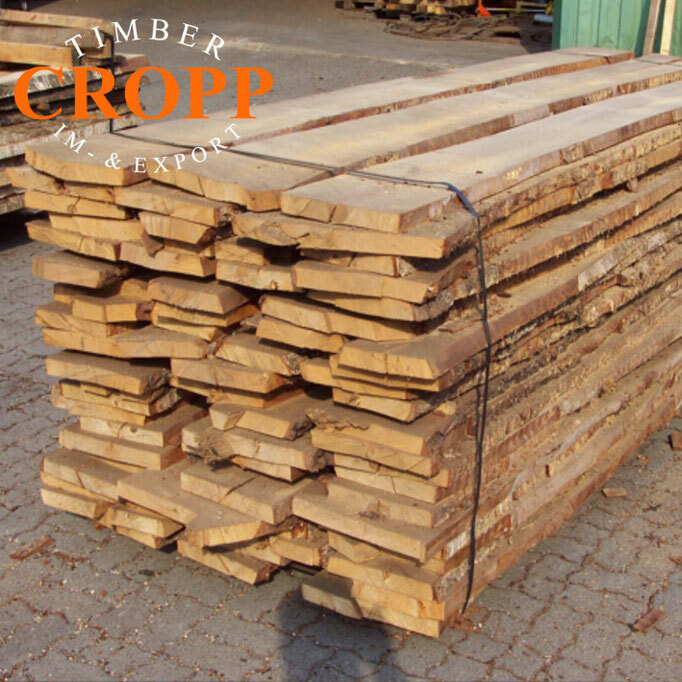 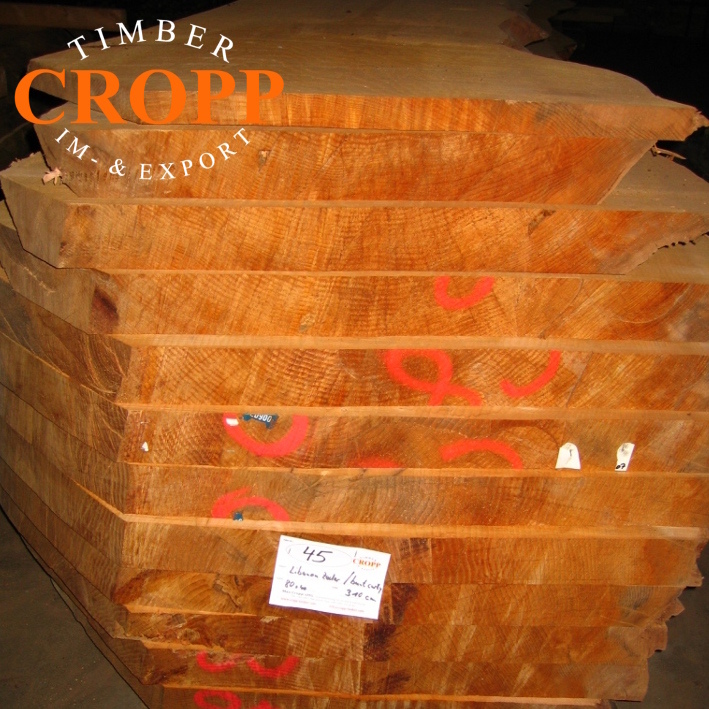 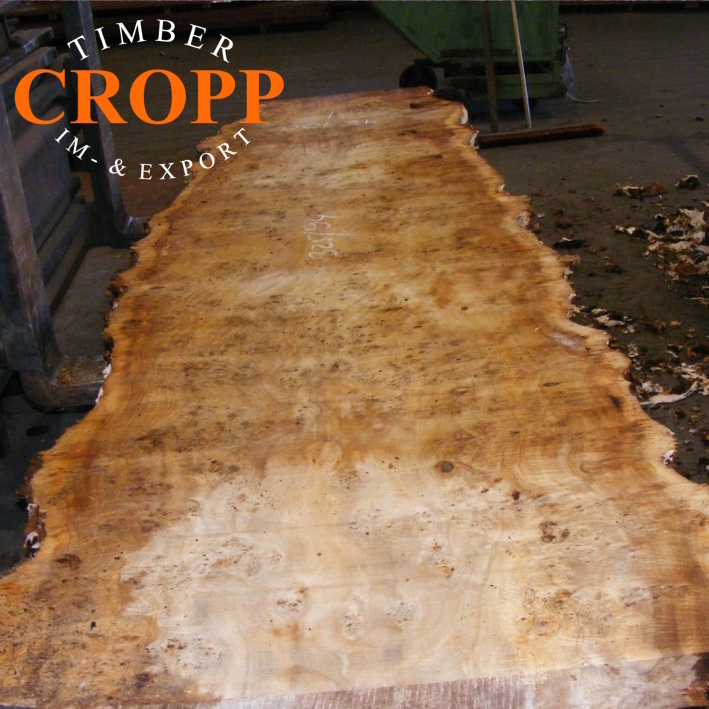 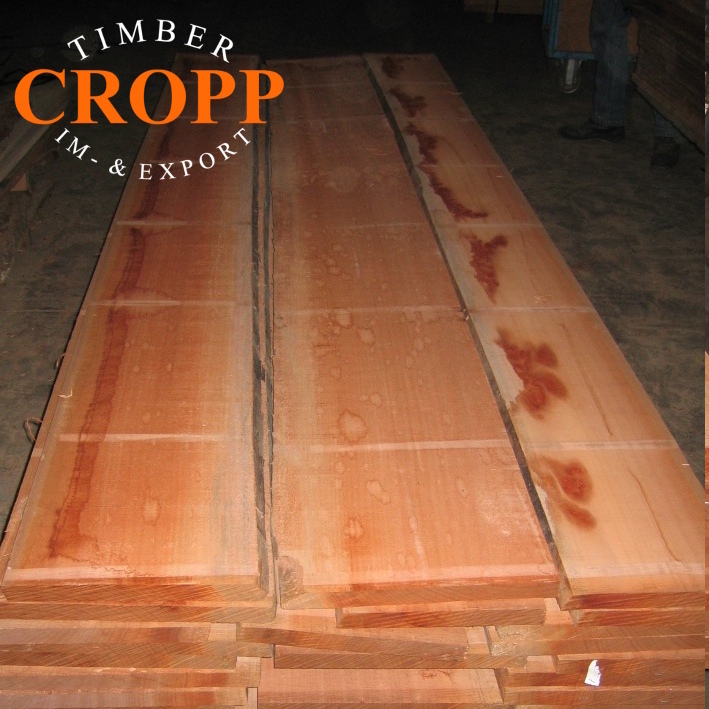 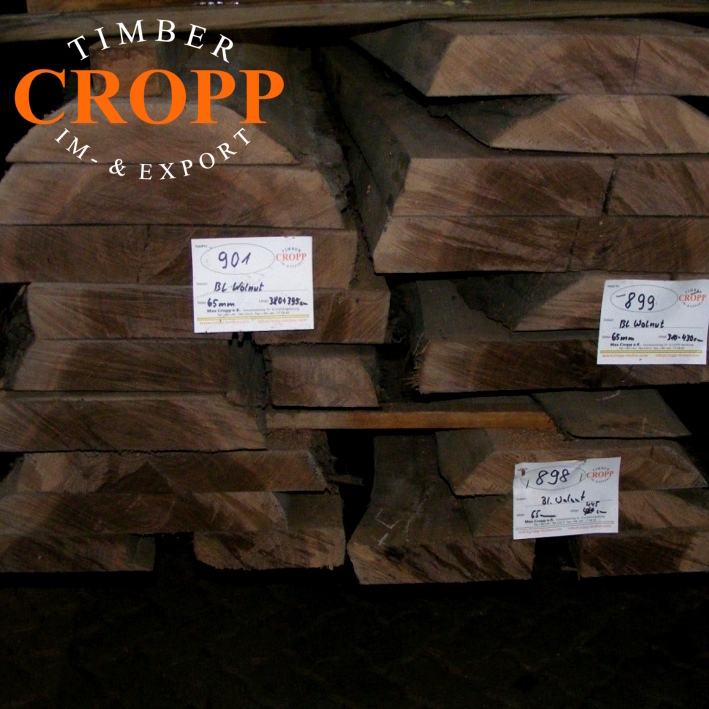 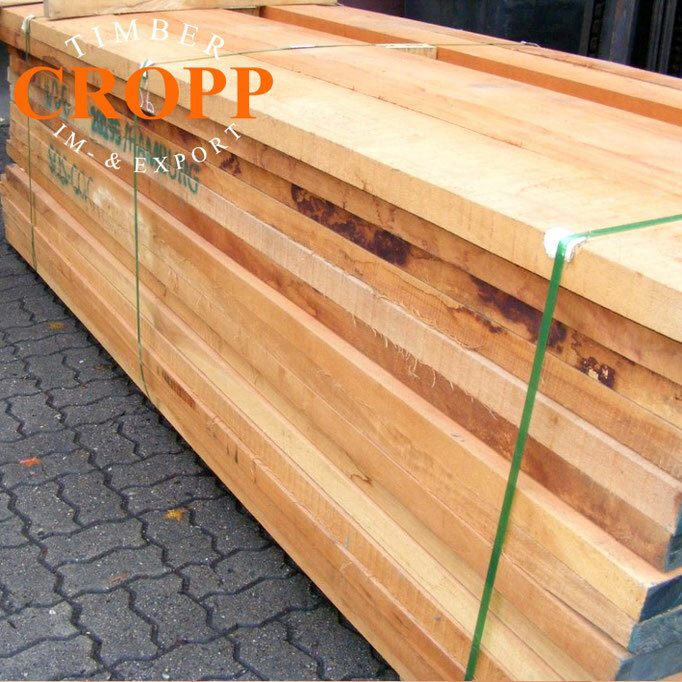 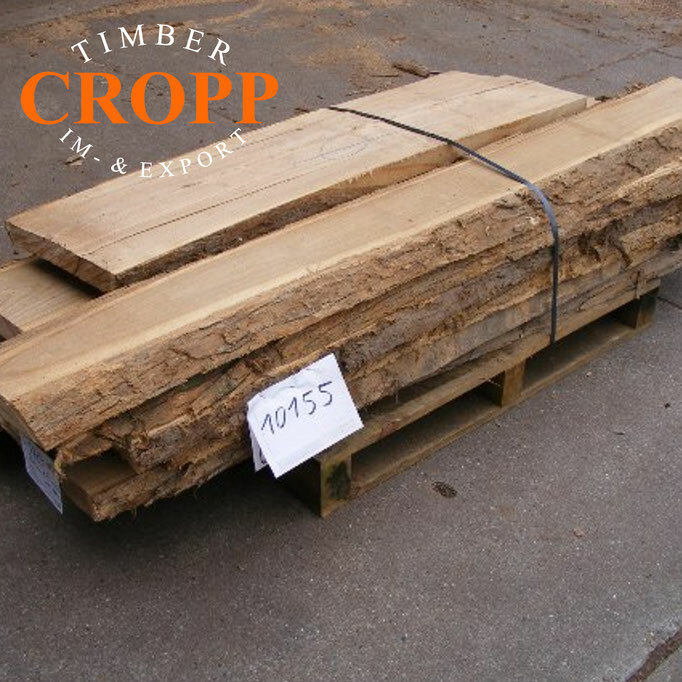 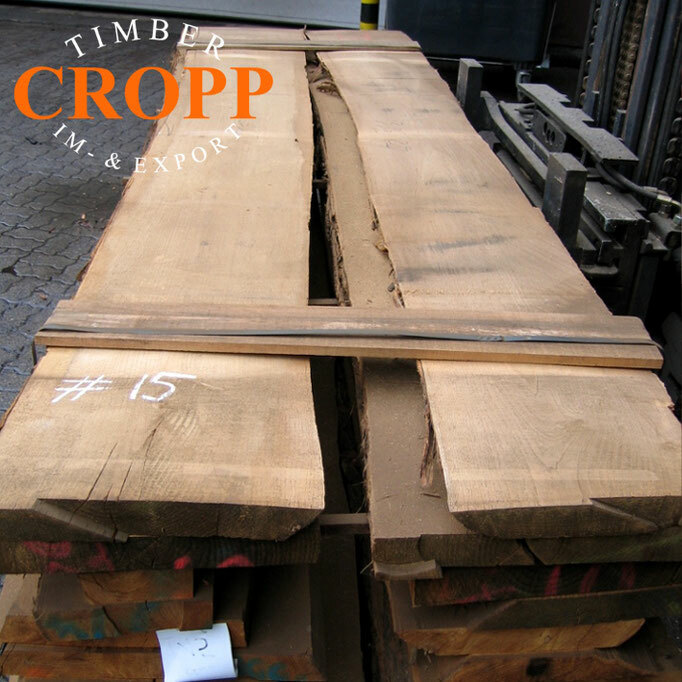 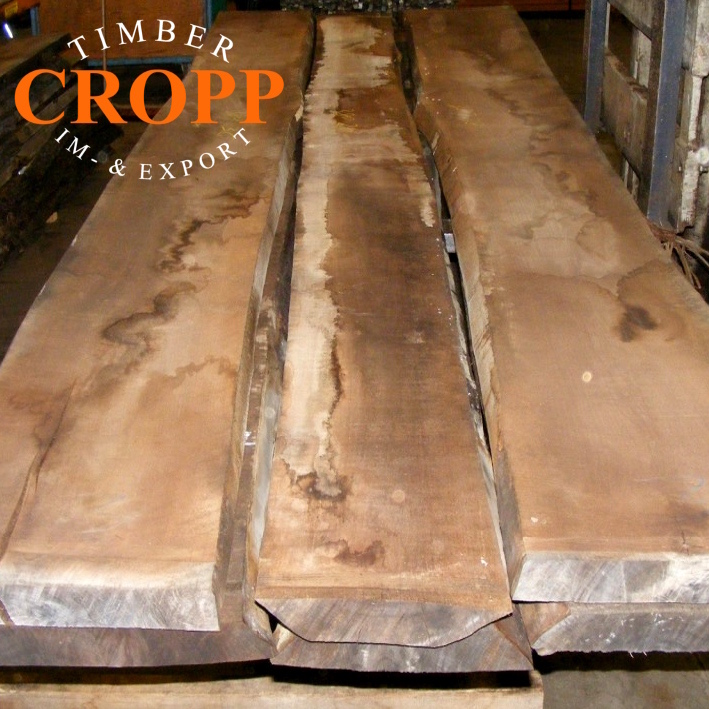 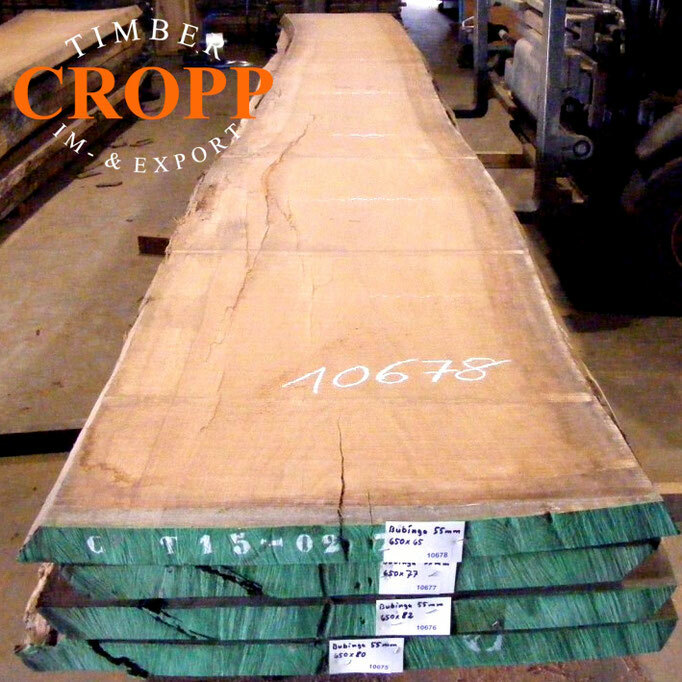 Choose from loadable and weatherproof exotic woods or classic domestic woods for any purpose. 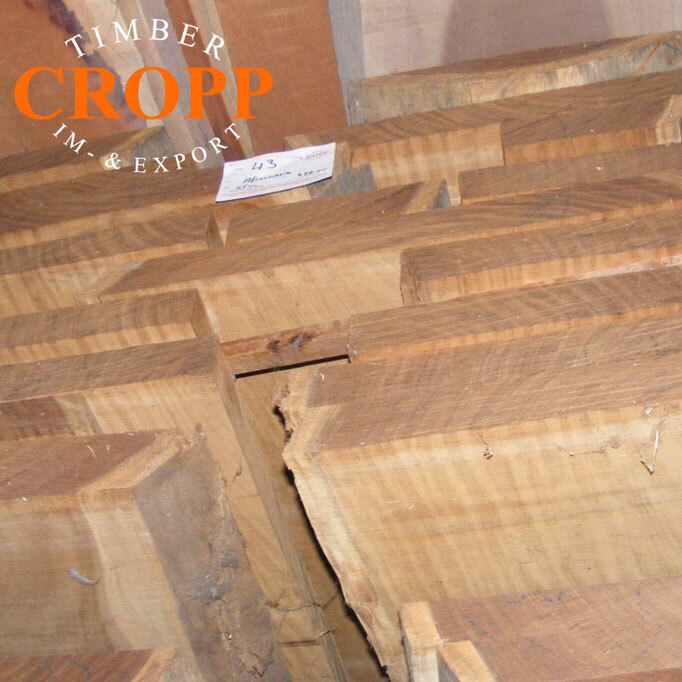 In our stock you can find rare species or huge dimensions for building stairs, dining tables, designer tables, side tables or furniture. 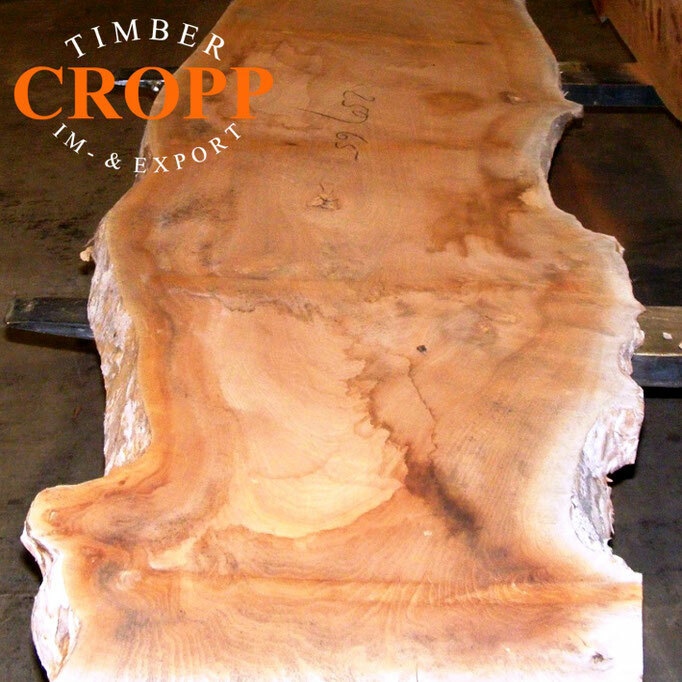 Also there are pieces with unique structures like burl, fiddleback, pommelé, rustic or stripy plates.